We endeavor to update this section weekly however time does not always permit. Our weekly fishing reports can also be found on the following websites…. as well as in the Friday edition of the Gympie Times & the Rainbow Beach Community News. Or catch us live on ABC Radio at 5:30am Friday mornings. The hot and humid conditions over the past week have finally let loose some much needed rain and along with it a slightly cooler change. At this stage the current forecast is still looking at a chance of some more showers and storms over the weekend however this should be enough to stop most people from getting out on the water. The past week has seen yet again some nice mangrove Jack being caught along with some monster flathead. With high tides early morning and late afternoon this weekend will be a great time to head up the upper reaches of creeks such as Carlo, Teebar and Kauri in search of a few Red Devils with Grunter and Threadies also on the cards. The rock ledges throughout the way have been fishing fairly well of late with some nice size sweetlip to 5kg being caught. With the smaller tides this weekend it will be well worth a crack. Baits of squid and yabbies working well. Reports of whiting and flathead around the foreshore of both Tin Can Bay and Poona over the last week. Hard bodies and plastics are working well as is baits of worms or live yabbies. With the new moon approaching we should hopefully start to see some spotty mackerel showing up in the bay. It will be worth a try floating unweighted Pillies around Big Mick or the channel between Inskip Point and Fraser Island. Looking at the forecast for the weekend it looks like the best opportunity to fish the open waters of the bay will be early Sunday morning before the wind picks up to a little over 10knots. If your looking for something different to do this weekend the Mary Valley Fishing Classic is being held at Borumba Dam and will make for a great weekend away for the family. Until next week stay safe on the water. The weather for the past week has been a little hit and miss with the wind keeping people off the water however there has still been the odd glamour day thrown amongst it. Reports are coming through of Mangrove Jack to 45cm in the creeks as well as some big flathead being taken around the flats. As the full moon approaches this weekend will be a good time to get out in search of a few barramundi with only just over a week until the season closes on the 1st of November. Creeks such as Teebar and Kauri will be worth a look as will Figtree on the western side of Fraser. With wind forecast around 10-15knots from the ESE for Saturday it maybe a good idea to seek protection in creeks such as Carlo or around Bullock Point. There have been plenty of crabs about lately so make sure you pack a few pots. Offshore has been a little bit of a wash out due to the wind however before it picked up there was plenty of pelagic activity around Double Island Point and the close in reefs were fishing well for snapper, parrot, Moses perch and sweetlip. With only 9 weeks left until Christmas now is the time to start your Christmas shopping. Don’t forget about our Interest Free Take Home Layby plan. Available on most products from rod and reels, scooters and even kayaks. Drop past the store or give us a call for more info. It will be back to school next week but not before one last long weekend and it looks like the weather gods have saved the best for last. The forecast for the weekend ahead is looking great with Sunday and Monday being the stand out days if your looking to hit the water. Over the holidays we have had a good mix of the bread and butter species such as whiting, bream and flathead being caught throughout Tin Can Inlet and thenGreat Sandy Straits with the majority of flathead being taken on lures with a mix of soft plastics and hard bodies. The low tides this weekend early in the morning it will be worth getting out early before the boat traffic increases and try around areas such as Carlo, Teebar and Alligator creeks or around Bullock Point. Ida Island as always is a popular spot for chasing summer whiting with worms and yabbies working best or alternatively try small surface lures for a little added excitement. Schools of Golden Trevally are also active throughout the Straits at the moment these fish are great fun on light gear and do fair pretty well on the table if bleed on capture. Both mud and sand crabs have been active throughout the straits over the past few weeks and will be well worth soaking a few pots. Just be mindful not to position your pots in the middle of the channels as this creates a navigational hazard for other boaties. It is also worth noting to ensure you have enough rope attached to your pots and that you don’t position them in areas of high tidal flow. We are still having some rather big tides after the recent full moon and this can cause your pots to shift. Offshore has been fishing pretty well with reports of pearl perch, tusk fish, amberjack and cod. Even though the sand is slowly returning to our beach the rocks at Mudlo continue to claim vehicles of those running the gauntlet. It is important to plan your trip around the tides and if in doubt use the Freshwater track. School holidays are now in full swing and we has so far had a few hit and miss days with strong wind warnings at times. That being said we have seen an increased amount of traffic on the water with a several reports of good whiting and flathead being caught along the Tin Can Bay foreshore. The flats in front of Tin Can Bay are ideal land based option for those prepared to wade out into a little deeper water or even paddle a kayak. Flathead, whiting, bream and trevally are common catches through out this area with the added bonus of the odd queenfish. There are plenty of yabbie banks to pump some fresh live bait as well. On the water Kauri Creek is fishing well with flathead, whiting, bream and even the odd mangrove jack. As we approach the full moon the next few days will be the time to try for Barramundi in the creeks such as Carlo, Teebar and Kauri as well as any of the creeks along the western side of Fraser Island. With just over a month left before the season closes for 2015 if you haven’t already done so it’s time to cross that species off your list for the year. Looking at the current forecast for the weekend ahead Sunday is looking to be the pick of the days with light winds around 5-10 knots. Saturday is looking a little average with 10-15 knot wind from SSE. Best to seek protection in creeks such as Carlo, Teebar, and Kauri or alternatively try Pelican Bay, Bullock Point & Double Island Point. If you’re looking for something to do on Saturday make sure you check out the Tin Can Bay Seafood Festival on the foreshore at Tin Can Bay. With fresh local seafood available, cooking demonstrations and market stalls its a nice day out with the family. Have a great weekend and stay safe on the water. School holidays are here again and with the warmer temperatures I am sure we will see an influx of visitors to the Cooloola Coast over the next two weeks. The forecast for the first weekend is looking a little drab with possible showers and wind on the agenda for Saturday before dropping away to a reasonable day on Sunday with chance of a few light showers. If the wind drops always as predicted It would be worth taking advantage of this weekends neap tides and hitting areas such as Bluff Reef, Teebar Ledge for reef species such as squire, sweetlip, parrot and Moses perch alternatively try around Big Mick and the channel between Inskip and Fraser for mackerel and trevally. Kauri Creek has been fishing fairly well of late with some big sand whiting and flathead being caught. Surface lures, plastics and baits of yabbies and worms will give the desired results. Mud crab activity is starting to increase and it will be worthwhile soaking a few pots. Make sure you are up to date with the most recent regulations regarding labelling of your pots and floats as well as correct size and bag limits. QLD Boating and Fisheries Patrol officers will be out in force over the coming weeks and you don’t want to spoil your holiday by copping a fine for something simple. We have copies of the latest Responsible Crabbing Brochure and Green Zone maps for the Great Sandy Straits available from our tackle store these are a FREE publication so there is no excuse not to grab a copy for your tackle box. The beach has been fishing well with dart, whiting bream, flathead and tailor coming from the gutters to both the North and South of the Rainbow Beach township. If you are planning of making the trip south to Double Island Point please seek local advice first. Mudlo Rocks are exposed at present and maybe impassable at times with reports of more vehicles being lost to the rocks over the past week. The freshwater track is an alternative route to Double Island Point so plan your trip to allow for the extra time to navigate the beach safely. Have a great week and tight lines. As another working week is set to wrap up its time to start planning your weekends fishing adventures. We had some fantastic weather last Sunday for fathers and the waters around Tin Can Bay were buzzing with boat traffic. We have had a number of reports of the last week of good whiting and flathead throughout the bay with some cracking whiting around 40cm falling to surface lures in Kauri creek. As the days continue to warm up we should start to see an increase in mangrove jack activity and there has already been the odd reports of a few being caught. Inskip Point is fishing well at present with dart and tailor on the menu. For best results fish the low light periods around dawn and dusk then into the night for the bigger greenbacks. On the freshwater scene the Mary River in Gympie has been firing this week with bass, Saratoga and sooty grunter being caught. If you haven’t already done so jump on over to the Gympie Regional Council and check out the draft kayak and canoe strategy that has been released. The council is looking for ways to open up the area to more water based activities in the region which is great to see. Looking at the forecast for the weekend it is looking a little windy on Saturday around 10-15 knots before dropping away over night to what should be a nice day on Sunday. Light showers have been forecast all weekend tipping falls around 1-5mm. At this stage they are tipping the Mercury to hit 30 degrees next Wednesday so this will be a prime time to hit the water looking for a few mangrove jack. The recent rain has given the creeks a much need flush out and the crabs are moving with several reports of mud crabs coming from around the mouth of the creeks as well as on the sand flats around Tin Can Bay with the added bonus of a few sand crabs as well. Golden trevally are about in Snapper creek. Low tide is a great time to target these fish around the drop offs into the main channel of Snapper creek and as the tide rises work the sand flats in front of the TCB marina just be mindful of the green zone in Griffin creek. Try for flathead and whiting around Ida Island and Alligator Creek. The forecast for the weekend is looking pretty good with Saturday looking to be the pick of the days. If your planing to hit the water with dad for Father’s Day make sure you get out early before the wind picks up around mid to late morning. Early morning low tides will make for ideal conditions for either an early morning or late afternoon beach session or to head down to Double Island Point for Father’s Day. If your after any last minute gift ideas for dad this Father’s Day make sure you drop past our store we have a great range of gift ideas including the range of Cuda tools their titanium bonded stainless steel makes these tools durable and will provide years of trouble free service. At long last it looks like the Greenbacks have arrived on local beaches with several reports of good size fish over the 1kg mark in reasonable numbers. With the early morning & late afternoon low tides this weekend it will be a good opportunity to hit the beach for an early morning or late afternoon session. Not a great deal of reports from inside the bar this week however there will still be a few flathead around the usual haunts such as Alligator, Carlo & Kauri creeks. Try for summer whiting around Ida Island or around the entrance to Kauri creek. Get out early and get some fresh yabbies then fish the same area on the making tide. If your planning to head out in the boat this weekend Saturday is looking to be the pick of the days with only light winds around 5-10knots or early Sunday morning before the wind gets up around lunchtime. Looks like it may be a wet weekend so remember to pack the wet weather gear. Recent rain should hopefully stir things up a bit and it maybe worth soaking a few crab pots over the weekend. If your on the hunt for a new surf combo make sure you drop past the shop we have Gary Howard Greenback low mount surf rods running out at only $129 whilst stocks last. Have a great weekend. Apologies for the lack of reports over the past few weeks it’s been hectic. We did however manage to get down to the Australian Fishing Tackle Association trade show on the Gold Coast a few weeks back to check out a few of the new product releases. Whilst I could go on about it for ages all I will say is there are some great new products coming out over the next few months that are bound to get a lot of interest. On the fishing scene whilst the Straits have been a little quiet with only a handful of reports of flathead, whiting & the odd chopper tailor being caught the offshore scene has been firing with plenty of snapper, pearl perch and sweetlip coming from the close in reefs. The run of great weather we have had over the past few weeks has seen a number of smaller vessels headed out over the bar in search of a few reefies. The beach has been fishing fairly well with reports of good whiting, bream, flathead & even the odd jew. The odd chopper tailor is also about although we are still waiting for the greenbacks to show up in any decent numbers. We have however had reports of bait fish moving north so hopefully the tailor won’t be far behind them. Looking at the weekend ahead it looks like we are in for more good conditions with only 5-10 knot SE forecast for Saturday before dropping away to around 5 knots on Sunday which will make for ideal conditions for hitting the water. Live beach worms will be back again for this weekend but numbers will be limited so if you’re after a few make sure you drop us a line to reserve a punnet. Until next week have a great weekend & stay safe on the water. Well its official winter is here! With temps dropping to only 2 degrees this week it has been time to break out the winter woollies AKA socks with the pluggers! The Rainbow Beach Family Fishing Classic wrapped up last weekend & despite being a little down on numbers from last year it was in my opinion a roaring success. Whilst in true fishing comp weather we did get a few wet and windy days we were still blessed with some glamorous conditions to the majority. On the fishing scene there has still been good numbers of flathead about with areas such as Carlo, Alligator & Teebar creeks all worth a shot a couple of hours either side of the run out tide. If it’s whiting you’re after try between Norman Point & Crab Creek for diver whiting with the bonus of a few squid or when the wind drops away try around Tinnanbar or the mouth of Kauri Creek. Golden trevally are still being caught throughout Snapper Creek with prawn baits & soft plastics giving the best results. Looking at the weekend ahead tomorrow is looking to be a little chilly however the wind is only expected to be between 5 – 10 knots all weekend. If you’re not on the water make sure you drop by the store this Saturday the 18th of July for our stocktake / car park sale. With loads of gear reduced to clear to make way for new models being released at the AFTA trade show later this month. Doors will open from 6am so stop by before the TCB Markets & grab a bargain. School holidays are now in full swing & with the run of warm sunny days on the water has been the place to be. Today also marks the start of the 2015 Rainbow Beach Fishing Classic & we should start to see competitors from all around start to roll into town today. If you have been waiting to see what the weather is doing before the comp you will be pleased to know that the current forecast is looking great with a revised wind forecast today down to a top of 9.6knots from the original 20knots they had been tipping. The rest of the week is looking to be fantastic with light wind around 5knots & relatively warm days around the mid 20’s so get your last minute entry in today. On the fishing scene there have been a few reports of solid Golden Trevally coming from Norman Point. Live baits of whiting, gar & herring all producing good results whilst frozen baits of prawns will also be worth a shot. Diver whiting are still around in good numbers but make sure you adhere to the possession limits of 50 per person. Worms, squid & even Berkley Gulp Sandworms working well for bait or try pumping live yabbies. Flathead numbers are starting to improve as we approach spawning season. Trick is at this time of year if you find a few smaller males keep working that same spot as there is sure to be a larger female in the vicinity. If you’re looking for a feed of Flathead try around Carlo & Teebar Creeks on the last of the run out tide. Anywhere water is draining off the flats will be worth a try as the Flathead will be waiting for any bait as they move into the deeper water. The beach is looking good with the sand slowly returning & covering up the rocks. To avoid getting into trouble best to plan any beach travel for 2 hours either side of the low. Only a week left until the star of the 2015 Rainbow Beach Family Fishing Classic & over the next few days we should start to see what the forecast will look like for the event. Fingers crossed that like last year we will be blessed with great conditions. With the wind & rain about over the last week there has been limited fishing activity with only a handful of reports of trevally & queenfish in Snapper Creek around the bottom of the tide. Diver whiting & squid in the usual haunts between Norman Point & Crab Creek. Tailor & school mackerel around Big Mick & around the mouth of Carlo & Teebar Creeks. With the forecast set for a couple of possible showers Sunday is currently looking to be the pick of the days with light wind around 5 -10knots from the south east. 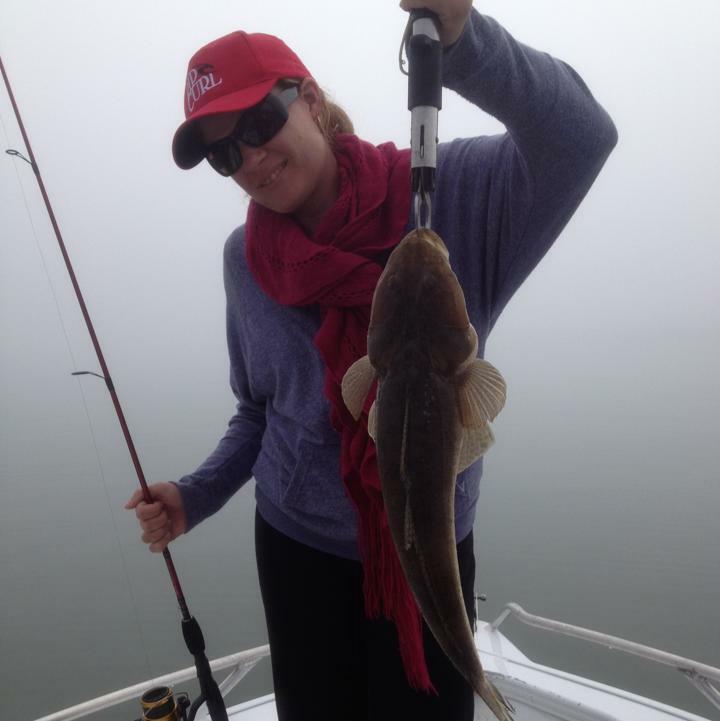 When the wind drops away try for Flathead around the mouth of Myers & Alligator Creeks or whiting around Ida Island. There have been a few nice gutters forming along the beach north of Rainbow Shores that will be worth a try for Tailor around sunrise & sunset. Beach conditions are improving daily & from last report safe access to Double Island is once again possible from Rainbow Beach a couple of hours either side of the low tide. Even though the water temperatures is dropping there has still been a few nice mud crabs being caught so it’s worthwhile soaking a few pots whilst you’re on the water. If you’re looking to snare a bargain on a new beach rod drop by our stall at the Twilight Fishing Expo at this year’s Rainbow Beach Fishing Classic. We will have some great deals on Gary Howard surf rods as well as Fin Nor & Alvey reels. As the end of another working week draws near you can be forgiven for shifting your attention to more pressing matters such as this weekend’s fishing plans….. The current forecast for the weekend is a welcome change after the run of rather average weather we have had over the last couple of weeks although still not ideal conditions. Light wind early around 5 knots early Friday morning before increasing mid morning to around 10 knots from the SW. Hitting the water early Saturday morning will be the best bet as we approach the neap tides the run should start to decrease & will make areas such as Bluff Reef fishable however be prepared to make your way back to more sheltered waters by mid morning as the wind is set to increase to around 10-15 knots from the south. On the fishing scene it has been a little quiet this week with only a handful of reports. Diver whiting, flathead & squid are coming from around Norman Point & the mouth of Carlo Creek. Try for chopper tailor & bream around Bird Rock in Teebar Creek or flathead around the drop offs into the channel. The beach is another option if you’re looking to escape the wind try around Inskip Point for dart, whiting & flathead. If you’re thinking of heading south to Double Island best to plan to take the Freshwater track as recent weather has left Mudlo Rocks exposed & access around the rocks is limited. Yep its Nambour show long weekend & you guessed it….It’s set to be wet & windy! With the Queen’s Birthday long weekend last week turning out to be a bit of a fizzer due to wind it doesn’t look much better for the weekend ahead. Current forecast is for 10-15 knot from Friday through to Sunday before dropping away on Monday to 5-10knots. It is also looking like we will be in for a few showers although current forecast is only tipping between 1-5mm each day. Despite last weekend’s average weather there was still a few diehard fishos who got out to wet a line with mixed results. Chopper tailor & school mackerel around Big Mick going for unweighed pilchards. A few reports of good numbers of summer whiting being caught in Pelican Bay with worms & yabbies working best. Closer to Tin Can Bay there has been diver whiting, squid, bar tail flathead & golden trevally being caught in the channel from Norman Point through to Crab Creek with worms, squid & yabbies being the best baits to use. If you’re hitting the water this weekend try sticking to the creeks such as Snapper, Teebar Carlo & Kauri where you should be able to find some protection from the wind. Alternatively try working the beach between Rainbow & Double Island Point for tailor, bream dart & whiting. Well its official winter is here & at the time of writing this it’s a chilly 4 degrees in lovely Tin Can Bay. For those of you who are lucky enough to score the long weekend it looks like we will be in for a fine weather with only a chance of possible showers on Sunday & Monday around 1-5mm. The cold snap is only set to hang around a couple of days with it set to warm up again on Sunday. Diver whiting are still being caught in reasonable numbers between Norman Point & Crab creek with worms, squid & yabbies working well for bait with the squid also being active in the same area. There has been a few nice golden trevally being caught over the last few weeks with the bigger models falling to live baits of gar & whiting whilst the smaller ones have been happy to smash prawns. Try around the drop off at Norman Point or behind Lee’s Fisheries in Snapper Creek. Mackerel have been smashing bait schools between Inskip & Fraser with a mix of school & spotties amongst them. Looking at the current forecast the wind is set to start picking up around mid morning on Friday to 5-10 knots from the SW and Saturday looks to be much the same before increasing on Sunday to 10-15knots from the SE. Given the current forecast the best option for Sunday will be to hit the Rainbow Beach at day break in search of a few tailor & bream. At long last we have a good forecast for the weekend ahead with light winds around 5 knots for the majority of the time before increasing 5-10knots Sunday afternoon. Whilst last weekend was a fizzer with strong wind & rain mid week has been great with a number of reports of diver whiting, golden trevally & squid coming from around Norman Point. With the trevally falling to live baits of whiting or gar & the whiting falling to worms & squid. We have also had several unconfirmed reports of spotty & school mackerel coming from around Inskip Point. Looking at the weekend ahead with the current forecast recommend trying around Big Mick & the channel between Inskip & Fraser for mackerel. Norman Point for diver whiting & squid or try working the mouth of creeks such as Teebar & Carlo for chopper tailor & school mackerel. 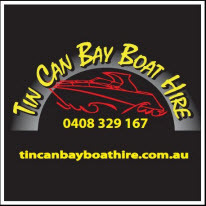 Tin Can Bay Boat Hire will be back again as sponsors of the event as well as at the Twilight Fishing Expo held on the first Saturday night. 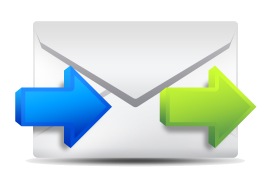 We will be taking bait orders via phone, text & email & can deliver to the comp each night. Last weekend was a fizzer with strong winds making conditions on the bay rather uncomfortable & the beach was a mess to say the least with the only area worth a try was around Double Island Point & in the lagoon where some solid whiting were being caught. The wind dropped away through the week & we had some fantastic conditions with a few reports of diver whiting throughout the southern end of the Sandy Straits. Squid numbers have also started to increase with the area around Norman Point south to Crab creek worth a try. The forecast this weekend isn’t looking too much better than last with the wind expected to start increasing around mid morning on Friday to around 10-15 knots from the south west & is set to continue throughout the weekend until early next week before dropping away to near on perfect conditions Tuesday onwards. Once again if you’re looking to wet a line over the weekend best of sticking to creeks such as Kauri, Teebar & Carlo as well as around Bullock Point & Pelican Bay. Otherwise take advantage of the early morning low tides to make the trip up to Double Island. With the sand starting to cover the rocks again access to Double Island Point from Rainbow Beach is once again possible a couple of hours either side of the low tide. Although the Freshwater track is still an option if you’re not wanting to risk it. Conditions south of DI are perfect & an easy run north from the Freshwater camp grounds to the Leisha track. With the run of warmer weather we have had for the last week we have seen a few crabs being caught along with the odd Mangrove Jack. School & spotty mackerel have also been reported with the mouth of Carlo Creek being worth a shot. Chopper Tailor should also be active in this area try around dusk and dawn for best results. In other news we are now agents for Swap N Go gas cylinders & the cage is full just in time for the weekend. The weekend is here & for residents of the Cooloola region it’s a long weekend for the Gympie show. Typical we had perfect conditions throughout the week before a change the wind picked up Thursday to around 15-20 knots inside the bay just in time for the long weekend. These windy conditions are set to continue through the weekend & early into next week & will put a bit of a dampener on this weekend’s fishing efforts. The past week we have continued to receive reports of diver whiting in good numbers throughout Tin Can Bay, the added bonus this week has been the arrival of the Tailor inside the bay. Whilst the numbers aren’t in plague proportions it is still early in the season & we should see them increase over the coming weeks. Golden Trevally & squid are still active around Norman Point & will be worth a crack once the wind dies down. Best advice for the weekend if your keen for a fish is to seek shelter from the wind in creeks such as Teebar & Kauri. Pelican Bay will also offer protection from southerly wind although the boat ramp at Bullock Point is in dire need of some TLC. The lagoon at Double Island Point will also be another option for land based anglers to escape the wind try for Whiting, Bream & Dart. Even though the sand at Mudlo Rocks is slowly coming back after the rough conditions earlier this month there are still a number of exposed rocks causing people some grief with at least two 4WD’s being lost to notorious section of beach over the past week. Best bet is to plan your trip & take the Freshwater track rather than becoming another photo on the wall of shame at the Rainbow Beach Hotel. Well I’ll be! The weatherman got it right this time. The heavy rain & wind we had late last week was a distant memory by Saturday morning with clear blue skies & light winds. Best of all it’s been the same all week & set to continue for a few more days yet. Whilst the rain did wreak a little havoc on the water clarity it certainly didn’t slow down the fishing with reports of diver whiting in good numbers throughout the bay. A mix of squid, yabbies, beach worms & even the Gulp 2”Sandworms performing well with most reports of people bagging out on fish in the mid 20’s. The flush of fresh water has also stirred things up with the crabs with reports of muddies being caught not only in the creeks but also around the sand flats. We continue to receive reports of plenty of flathead being caught at present with areas such as the mouth of Alligator, Meyers & Teebar worth a try. The beaches are fishing well at the moment with dart, whiting & flathead coming from the surf gutters around Teewah, Double Island & Rainbow. Whilst we haven’t yet received any reports of tailor showing up they certainly can’t be too far away. Whilst beach conditions on the southern side of Double Island Point are great at present the Rainbow side is a little worse for wear following the large seas exposing the rocks in places. It may be worth considering taking the Freshwater track to access the beach. We had a brilliant weekend for ANZAC day with clear skies. Despite the wind picking up on Sunday we still had warm sunny days so much so that you would forget that winter is only a few weeks away! On the fishing front there has been plenty of good flathead being caught over the past week with a mix of soft plastics & hard bodied lures working a treat. There are several nice gutters forming along Rainbow Beach with most being accessible via foot. Swallowtail dart, whiting, bream & flathead are all on the cards with beach worms, pippies & squid all working well. Whilst the tailor haven’t started to show up on the beach as yet it should be too long before they arrive. Beach conditions are good with plenty of sand over the rocks allowing for safe beach travel a couple of hours either side of the low although the sand has been soft this rain should do well to compact it a little more. Heavy rainfall on Thursday is forecast to continue during Friday but set to ease before the weekend. This should give the creeks a flush out & hopefully get the crabs active again. If you’re hitting the bay try around Tinnanbar, Pelican Bay or Ida Island for whiting & flathead. Some reports of good bream in the mid 30’s have been coming from Snapper Creek along with squid around Norman Point. If you’re looking to wet a line over the weekend the beaches at Rainbow, Teewah or Double Island should provide some protection from the wind. With good numbers of pippies on the beaches at present it’s worth refreshing yourself with the bag limits as there has been a few people fined of late who have exceed theirs. Woohoo the weekend is here again! The past week has seen some pretty spectacular conditions with glassed out conditions on the bay. Reports of spotty & Spanish mackerel coming from around the channel between Inskip & Fraser although a few smaller sharks have also been giving anglers some grief. Squid & cuttlefish are still active around Norman Point through to Crab Creek. There has also been a few squire coming from the shallow reefs in the same area although most have been undersize. Some nice flathead have been caught with the best results coming from anglers working the flats around Tin Can Bay using hard bodied lures. Sand crabs are coming from Teebar Creek & try for muddies around Carlo Creek & Poverty Point. This weekend’s neap tides along with light winds should make for great conditions to hit up Bluff reef or Teebar & Seary’s ledges. Try for squire, sweetlip cod & parrot. With ANZAC day this Saturday why not get out & enjoy the freedom that the diggers fought for & hit the water after the dawn service? It looks like it’s going to be a cracker of a day. Easter school holidays are almost over for another year & in true form the final day is looking to be spectacular. Over the past week Snapper Creek has been firing well with catches of Diamond & Golden trevally. The pike have shown up in numbers with the jetty at Norman Point being a popular spot to target them. Best time is usually around the top of the tide as the run begins to slow. Small hard bodies & soft plastics around two inches long will often give the best results. Pike make great live baits for big cod & also provide for a lot of fun on light gear especially if you are trying to teach kids how to use plastics for the first time. In the bay we have reports of Longtail tuna & mackerel smashing bait schools are the wide bay bar. The chopper tailor are starting to show up & over the next few weeks we should see their numbers increase. Try working around the mouth of creeks such as Snapper, Carlo & Teebar. Hard bodied lures, chrome slugs or floating a pillie will all give the desired result. There has been a number of good flathead being caught lately. Walking the sand flats flicking lures around the end of the run out & start of the run in tide is a great way to pick up a feed of flathead. The forecast for the weekend is looking great with light winds early Saturday morning before increasing mid morning to around 10knots before dropping away again around dark. Sunday is looking to be a cracker with light wind less than 5 knots all day. The forecast is tipping some showers however these are more than likely to be concentrated around Fraser Island. Surprise surprise the weather man got it wrong! We had great weather over the Easter long weekend with the only exception being Good Friday with only a few showers through the day. The fishing was red hot with diver whiting in good numbers around Ida Island through to Tinnanbar. Baits of live yabbies, worms or squid have been giving the best results. Golden Trevally have been active in good numbers as well with Snapper Creek & around Norman Point producing well. There is still the odd mangrove jack being caught in the creeks although night sessions have been the most productive. After recent rain the mud crabs have been plentiful & packed full of meat. Looking at the weekend ahead the SE change moving through will see the wind increase to around 10knots for the majority of the day. If you’re looking for somewhere to escape the wind try the channel between Inskip Point & Fraser Island. The next few days we have the neap tides meaning it will be a good time to hit areas like Bluff Reef, Teebar & Seary’s Ledges. Try for cod, sweetlip, squire & parrot. If you’re after a feed of squid then try working the areas east of Norman Point south towards crab creek. Currently the boys are leading in our battle of the sexes comp for April so ladies make sure you drop by & weigh in your catch. Have a great weekend & stay safe on the water. Long weekend is here & yep you guessed it….It’s raining. This doesn’t have to mean it’s all doom & gloom the current forecast is for light wind & temps in the mid to high 20’s. Good Friday is looking to be the wettest day with 25-50mm tipped to fall & only 10-15mm on both Saturday & Sunday so there is bound to be a few opportunities to get out & wet a line. The rain will have stirred things up a little so working around the entrances to the creeks should provide the best results. Schools of whiting have been taking surface & shallow diving lure on the flats around Tin Can Bay & are easily accessible on foot by walking out in knee deep water. The incoming tide is ideal as the whiting will tend to move into the shallows as the tide rises. Flathead are about in reasonable numbers & will inhabit the same areas as the whiting so you never know your luck. There are still the odd reports of the odd Mangrove Jack being caught although they are becoming less active as the water temps continues to drop. It will be worth a try for a few squid around the moored yachts in front of Norman Point. Drifting with the tide allows you to cover more ground whilst you locate where the squid are feeding. Golden Trevally are being caught in Snapper Creek & around Norman Point. If you’re chasing the larger models then try live baiting off the beach around Inskip Point. For the month of April we are adding a new twist to our fish of the month comp. A battle of the sexes so ladies it’s time to show the boys how it’s done! We are hoping to have live beach worms available over the Easter break however numbers will be limited so call ahead & reserve your tub to avoid disappointment. IT’S BACK!!! Our 4 crab pots for $60 deal is on again. Limited stock so hurry in & save $24.80 off the normal price! Don’t forget we are open all Easter long weekend from 6am daily for all your boat hire, bait & tackle needs. Have a great Easter & stay safe on the water & roads this long weekend. The weekend is near & that means it’s time to start planning your next fishing trip & with Easter holidays set to kick off next weekend it is a great time to get out before the increase in boat traffic from holiday makers. The neap tides this weekend should provide a great opportunity to fish areas like Bluff Reef, Teebar Ledge or the channel between Inskip & Fraser Island. With reports of mackerel being caught around Inskip point it will be worth packing a few heavy rods & floating a couple of pilchards. When fishing for mackerel a wire trace is important however keep it as short as possible approx 6” long then use a heavy mono or fluorocarbon leader. The reefs inside the bay should be fishing well for squire, sweetlip, cod & parrot. With the small run in the tide you should be able to use smaller weights. Remember the low light periods around dusk & dawn will often produce the best results when fishing in these areas. There has been some cracker whiting being caught lately up around Tinnanbar & Ida Island with baits of squid, worms or live yabbies working best. Snapper Creek has been firing well with several reports of pelagic such as trevally & mackerel being caught. With plenty of bait schools in the creek it is worth throwing the cast net or jigging off the pontoons around Norman point. Remember to drop past & check out the promotions that we are currently running in store. Win a $1300 Shimano Stella combo or the guys at 13 Fishing Australia have a great deal on Omen Black fishing rods. Buy one Omen Black & receive your second Omen Black for only $50. Don’t forget we are open from 6am daily for all your boat hire, bait & tackle needs. At long last we have a reasonable forecast for the weekend ahead. Light winds early mornings & late afternoon will make for the ideal conditions for hitting the water. With wind expected to reach 10-15knots through the middle of the day it makes sense to get out while it is cool to avoid the heatwave that is predicted to hit over the coming days. On the fishing scene there has been some good hauls of mud crabs from the creeks. Recommend trying areas such as Teebar, Carlo & Crab Creeks. For those without a boat low tides late afternoon & early morning will provide you an opportunity walk your pots out on the flats before dark & check them again at first light. The shallow reefs around Tin Can Bay have been a little hit & miss over the past week with a few reports of undersize squire, sweetlip & cod. If you’re looking for a feed of flathead try around Ida Island or Alligator Creek. There has been a few nice Golden & Diamond Trevally being caught around Norman Point & in Snapper Creek. Lightly weighted baits of prawn or live herring which have been in abundance of late. This Sunday is the Pirtek Fishing Challenge if you haven’t already entered jump on over to their website https://pirtekfishingchallenge.com.au for only $20 to enter you will get a chance to share in over $169,000 in prizes with proceeds going to the Prostate Cancer Foundation of Australia this is a great cause to support. Until next week be safe on the water. Wow it’s only 3 weeks until the start of the Easter holidays! Hopefully the effects of these cyclones will be long gone by then. The fishing over the past week has been picking up with several good feeds of mud crabs being caught in the creeks around Tin Can Bay. There has been some big cod being caught with one fish weighing almost 6kg getting weighed in for our fish of the month comp. Bait of choice was a whole sand crab. The shallow reefs near Tin Can Bay have also been fishing well for squire with several reports of fish between 40-54cm being caught during the low light periods around dusk & dawn. We will have new Snapper packs arriving from our bait supplier today consisting of cuttlefish heads & small whiting, these packs are bound to prove popular. Further up the Straits there has been good flathead, whiting & mangrove jack being caught around Tuan. Offshore is firing well with mahi mahi, amberjack parrot & red emperor being caught. Looking at the current forecast for the weekend Sunday is looking to be the pick of the days with lighter wind in the morning before picking up later in the afternoon. The neap tides this weekend will provide a good opportunity to fish areas such as Bluff Reef or Teebar Ledge for a feed of reef fish. Apparently we are now in autumn however someone appears to have forgotten to tell that to summer as it’s been a pretty hot & muggy week with temps in the 30’s. Well two weeks after cyclone Marcia dumped heavy rain on SEQ Tin Can Inlet is starting to clean up although there is still some dirty water around. There have been plenty of schools of herring in the bay for the past week with the public jetty’s in Carlo & Snapper Creeks being a great base to throw a cast net or use a herring jig. Squid are active around Norman Point at present & we should see them hanging around for the next few months. Estuary cod, mangrove jack & flathead have all been reported to have been coming from the creeks along with good catches of mud crabs. Offshore the close in reefs are fishing well for Pearl Perch, Hussar, Cobia & Moses Perch. Beach travel from Rainbow south to Double Island Point is a little tricky at present with recent storms exposing plenty of rocks. Although possible to navigate the rocks at dead low tide it is best to take the alternative route via the Freshwater Track as Mudlo rocks have claimed 3 vehicles in the past week or so. We have a couple of great promotions going in store at present including giving away a $1300 Shimano Stella/Anarchy combo. Check out our facebook page for more details. After an almost 12 absence from the market Cranka Crabs are on their way! These little crabs have quickly gained a reputation as bream slayers & are highly sort after. With limited stocks available in the first shipment don’t delay in claiming your colour preference. Did you know that we can also do rod repairs in store? Our rod lathe has a huge 16ft bed meaning we can tackle event the largest of surf rods. It’s been another week of typical February weather with wind, rain or a combination of them both. These poor conditions have seen very little by way of reports coming through with a few exceptions of mangrove jack along with a few barra coming from the creeks. Crab activity is increasing with several reports of good sand crabs coming from around Carlo and Teebar creeks and a few muddies are being caught further south around Poverty Point. With small tides at present if you can find a break in the weather or prepared to brave some average conditions then areas like Teebar & Seary’s ledges or Bluff Reef will be worth a look for cod, sweetlip and squire. There has also been a report of a large school of trevally cruising around in Snapper Creek although they weren’t looking at lures or baits. Looking at the current forecast for the weekend an early morning session on Sunday will be the pick of the days with lighter winds around the 5-10knots before increasing to 10-15knots around mid morning. Otherwise it will be best to seek shelter in one of the creeks such as Teebar, Carlo, Snapper or Kauri. Last weekend was a cracker however that didn’t last too long with the weather going sour around Tuesday! Over the past week we have had reports of mangrove jack to 53cm being caught in the creeks along with a few flathead & grunter. Last Sunday marked the start of the 2015 Barra season & one local angler wasted no time at all landing a 101cm barra from one of the creeks on Monday. Looking at the current forecast the weekend isn’t looking great with strong winds from the south to south east set to make conditions on the water a little unfriendly. If you’re still keen to wet a line this weekend your best chance will be to seek cover in creeks such as Kauri, Poona or Tuan or try around Bullock Point near Inskip Point. The past week has seen some fairly average weather & despite the forecast for strong winds Australia Day turned out to have been a cracker of a day. On the fishing scene good numbers of mangrove jack are being caught with most of the fish being caught after dark. Schools of golden trevally have been sighted at the entrance to creeks such as Teebar & Alligator feeding on with schools of hardy heads & herring. If you’re after a feed of flathead try walking the sand flats on the run out tide. Both shallow diving hard bodied lures & soft plastics have been producing good results. Looking at the forecast for the weekend it is looking like early morning or late afternoon sessions will be best with light wind forecast around 2-5knots before picking up around mid morning to around 10-15knots then dropping away again late afternoon/early evening. With this in mind try fishing the shallow reefs around Tin Can Bay for squire, sweetlip & parrot. Alternatively with high tides falling around mid morning to early evening try heading up the creeks in search of a few mangrove jack. Australia day long weekend should see an increase of boat traffic on the water this weekend. The current forecast for heavy showers on Friday should give the creeks a well deserved flush out will hopefully see an increase in the number of crabs being caught. For best results try setting your pots closer to the mouth of the creeks such as Teebar, Dinnies, Alligator & Kauri. Whilst fish frames do make great crab bait, chicken frames are also a worthwhile alternative & work a treat. Sunday is looking to be the pick of the days with lighter winds less than 6 knots for the majority of the day with only a chance of showers & possible storm. The cooler weather over the past couple of days has been a welcome change from the hot & humid conditions we have been experiencing. Sunday is also looking to see a return to these conditions with temperatures set to return to the mid 30’s. Fishing inside the bay has been a little quiet over the past week although we are still receiving consistent reports of mangrove jack being caught in the creeks with the prime time’s being after dark. Flesh baits of mullet fillet & bonito working well although live bait is always the best option. If the wind drops away the neap tides through the middle of this week should provide a good opportunity to fish areas such as Bluff reef & Teebar ledge for those wanting to get out amongst a few reefies such as sweetlip, parrot, moses perch & squire. Fishing during the low light periods around dusk & dawn will often produce the best results. Offshore we have received reports of good numbers of spotty mackerel being caught around the bar just keep an eye out for the birds working to help locate them. There are still a few Spanish mackerel about although getting them past the sharks has been a major problem. Beach conditions are as good as they get at present if you’re looking to do a run down to Double Island over the weekend. Try fishing the surf gutters or the lagoon for whiting, flathead & dart. Beach worms are always the best option when targeting whiting & dart from the beach although prawns, squid & pippies are also worth a try. Don’t forget we are open from 6am daily for all your boat hire & bait & tackle needs. Despite the deluge down southern end of the state the past week has seen a run of pretty good weather with warm days with only a small amount of rain. The weekend ahead is looking to be another cracker with light wind early morning before kicking up as the day gets on to around 10 knots around mid afternoon. Reports of flathead being caught around the sand flats with shallow diving hard bodied lures & soft plastics around the 3-4 inches working well. The shallow reefs around Tin Can Bay are fishing well in the low light periods around dusk & dawn for pan size squire along with a few parrot, sweetlip & cod. Mud crabs are still about in good numbers with chicken frames working well for bait. Even without a boat it is still possible to catch a feed of crabs by walking your pots out on the flats at low tide. With water temperatures around 28 degrees the mangrove jack have been firing well over the past few weeks. This weekend’s high tides falling around sunrise & sunset will make for ideal conditions for heading up the creeks in search of a few jacks. Live bait of poddy mullet, herring & silver biddies will work best although flesh baits of mullet fillet, bonito & gar will also do the trick. The area has been alive for the last few weeks with visitors from near & far flocking to the Cooloola Coast. Despite the increased boat traffic on the water we have been receiving heaps of reports from locals & visitors alike. Grunter, Mangrove Jack & even the odd Barramundi have been caught in the creeks. 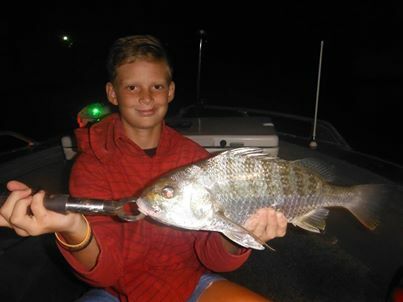 One local lad was grinning from ear to ear after catching & releasing a meter plus barramundi this week. Good catches of mud crabs although we have also received a number of complaints that people are having their pots raided & even worse stolen. There has been a few nice golden trevally been caught in Snapper Creek with lightly weighed prawns working best. We have seen a good number of flathead being taken by land based anglers working hard bodies whilst walking the shallows on the run out tide. The new boat ramp at Norman Point has been a huge hit with visitors these holidays & we have also seen a reduction of ramp rage incidents at the boat ramp which is always good to see. What a cracker of a start to the Christmas break & the run of good weather looks to continue right through until New Years. With increased boat traffic on the water the boat ramps will be busy. At this time of year it is best to allow a little extra time when launching & retrieving your vessel. Peak times around dawn & dusk will generally see increased traffic so plan your departure & returns accordingly. If you see someone struggling or perhaps taking a little longer than you would like, rather than getting frustrated why not offer to lend a hand to keep things moving smoothly? The past week has seen several reports of Mangrove Jack to 50cm + being caught along with a few tales of bigger ones that have got away. Try creeks such as Teebar, Snapper & Kauri. If you’re after a feed of whiting try around Ida Island & Pelican Bay. Baits of live yabbies or worms will give the best results whilst artificial alternatives such as Berkley Gulp Sandworms work well even when fished stationary or try working small surface lures across the shallow flats. Grunter or Javalin fish are being caught in the creeks with the low light periods around dusk & dawn being prime times to fish. Live herring or prawns should give the desired result. Spotty Mackerel are starting to show up in better numbers inside the bay although most are small they do still provide a bit of fun on light gear. Floating unweighed pilchards rigged on 3/0 or 4/0 gangs will generally work best. Try areas such as the lead markers in front of Carlo Creek or Big Mick. If you’re looking to soak a few pots this Christmas break try Carlo, Teebar & Kauri Creeks. Recent rain should have given the creeks a little flush out & should see the muddies closer to the mouth. We will be closed on Christmas day however will re-open from 6am on Boxing Day for all your fishing & boat hire needs give us a call on 0408 329 167. Have a great Christmas break and be safe on the water. Wow less than a week until Christmas! Yikes that’s a scary thought. With school holidays now in full swing we had a great start to the week with Monday & Tuesday turning it on with some great weather before the wind picked up on Tuesday afternoon. Over the past week we have had several reports of good mangrove jack coming from the creeks along with the odd barramundi. It is important to remember that from the 1st of November to the 1st of February it is closed season for barramundi. If caught during this time the fish must be released as soon as possible to reduce stress on the fish during spawning season. Flathead are about in good numbers with one report of a 72cm model being caught earlier in the week. The neap tides earlier in the week provided an opportunity for hitting areas like Bluff Reef & Teebar Ledge. Reports of estuary cod, parrot and morwong being caught through the day. Morwong get a pretty bad rap as being poor eating but if bleed on capture they can be pretty good. Around Inskip Point we have reports of spotty mackerel responding to chrome slugs. Try for Queenfish and Trevally around Big Mick. The shallow reefs around Tin Can Bay have been fishing well for Squire with the best results coming from the low light periods around dusk and dawn. Floating whole pilchards or squid will give the best results whilst soft plastics do offer a little more fun on light gear. The forecast for the weekend is looking a little average with variable winds up to 15 knots & possible showers and storms. Best chance will be to get out early before the wind gets up. The current forecast shows the wind dropping off around mid week just in time for a cracking Christmas day. Tin Can Bay Boat Hire will be open until 5pm on Wednesday the 24th for all your last minute Christmas needs & will reopen 6am on the 26th of December. On behalf of the crew at Tin Can Bay Boat Hire we wish you all a very Merry and Safe Christmas. Christmas school holidays are set to kick off this weekend & that also means less than two weeks until the big day! Have you finished your Christmas shopping yet?? We are looking at a wet start to the weekend before clearing up through the week with relatively calm conditions along with hot muggy days & temps expected to reach 35 degrees around mid week. The creeks have been fishing well with several reports of quality mangrove jack to 50cm being caught. Live bait’s of poddy mullet, diver whiting, herring & silver biddies all work well however for those wanting a little more fun try casting deep diving hard bodied lures such as Sebile Koolie Minnows or Atomic Shiners around the 75-90mm range at the snags. Reports of large golden trevally being caught off the beach at Inskip Point using livies. For more inshore pelagic action try areas such as Big Mick or the channel between Inskip & Fraser for mackerel, queenfish & trevally. Neap tides this weekend will see fishing areas like Bluff Reef & Teebar Ledge possible with smaller tides the run won’t be as strong. Try getting out on the water at first light & fishing the last of the run out tide for sweetlip, squire, parrot & cod. For those wanting a feed of whiting Ida Island & Pelican Bay is still producing a few quality fish. Don’t forget with the start of the school holidays we will start seeing increased patrols by Qld Boating & Fisheries Officers. Don’t ruin your day on the water spend a couple of minutes checking over your vessel to ensure that all your safety gear is in date, you have up to date green zone maps & that you are familiar with the relevant size & bag limits for the species you may encounter. For more information on green zones etc drop past the store. It’s looking like it maybe a wet weekend with possible storms forecast for the afternoons. Friday night or the early hours of Saturday morning are looking to offer the best conditions for getting out on the water before the northerly wind picks up around mid morning on Saturday. Hopefully the rain will get the fish firing a bit more and flush a few crabs out from up the creeks just in time for the upcoming school holidays. In the Straits whiting have been active around Tinnanbar and Poona as well as around Ida Island and Pelican Bay. There has been some good flathead being caught with the last couple of hours of the run out tide giving the best results. Try areas like the mouth of Alligator & Teebar Creeks. The hot and humid conditions over the weekend will be ideal for those wanting to head up the creeks chasing jacks. Kauri, Tuan & Poona creeks are a great option as they will offer a degree of protection from the northerly winds and are easily accessible in poor conditions. The shallow reefs around Tin Can Bay will be worth a try before the wind gets up with the ideal time to fish being around first light. Lightly weighed pilchards or whole squid rigged on set of 3/0 gangs should provide good results. On the fresh water scene the Mary River is fishing well for Australian bass & provides an option for those wanting to escape the wind. Spinner baits or soft plastics rigged with TT spin jigs being your best bet. This month is our last fish of the month competition is for 2015 for your chance to win $50 in the December draw just drop past the store located at 6/6 Scullett Drive Tin Can Bay near Mitre 10 and weigh in your catch! School holidays will mean increased patrols form Qld Boating & Fisheries Patrol Officers. Make sure all your safety equipment is up to date & that you have a copy of the green zone maps for the area. Pick up your free copy of the marine park green zone maps when you’re next in store. If you are one of our regular readers please follow the link below & vote for us in the Rescue My Site Competition. This would give us the opportunity to fine tune our website & introduce an online store & booking system. The wind over the past week has seen only a handful of opportunities to get out amongst a few fish. Reports of solid mangrove jack up to 50cm taking hard bodied lures worked hard against the snags in the creeks along with several barramundi being taken as bi catch whilst chasing jacks. Remember it is closed season for barramundi at present so all fish must be handled with care and released as soon as possible after capture. There has been a number of quality spotty and Spanish mackerel being caught offshore of late along with some cracking dolphin fish. Not all the action offshore has been pelagic there are still a number of quality reef fish such as snapper, pearl perch, spangled emperor etc…being caught as well. Looking at the forecast for the weekend both Friday and Saturday will be pretty average with 10-15 knot SE winds before dropping off to 5-10knots from the east on Sunday. For a feed of whiting try working the sand flats around Ida Island and Pelican Bay. Baits of live yabbies or worms will provide the best results. If you’re after a little inshore pelagic action try Big Mick or the channel between Inskip and Fraser Island. Schools of mackerel and queenfish often frequent these areas during the warmer months. Live baits or floating pilchard will give results although spinning metal slugs on light gear is great fun. Christmas is less than a month away! We have plenty of great last minute gift ideas in store all at great prices. Tin Can Bay Boat Hire can now set you up in a brand new Viking kayak and with our interest free take home layby plan what more excuse do you need? Over the next few days we should see our shipment of the 2015 range of Envy and Fasen scooters so make sure you stop by and check them out. Last chance this weekend for the November draw so get your entry in for our fish of the month competition for your chance to win $50 to spend in store. Have a great weekend and be safe on the water. The past week of hot weather & high humidity has seen the fishing action in Tin Can Bay firing. With reports of mangrove jack, threadfin salmon & the odd barra coming from the creeks along with a mixed variety of reef fish including grassy sweetlip, estuary cod, moses perch etc coming from the shallow reefs around Tin Can Bay. Over the next few weeks we should start to see an increase in pelagic activity inside the bay. As the wind drops away early next week try fishing areas such as Big Mick for queenfish, trevally & spotty mackerel. The forecasted northerly wind this weekend will mean smaller vessels will be better off seeking shelter in creeks such as Teebar, Dinnies, Aligator or Kauri. With the early hours of Sunday morning looking to provide the best window of opportunity for those wanting to fish the open waters of the bay. Live beach worms will be available in store this weekend & will sell out quickly so secure yours as early as possible. With the shifting of the navigational light at hook point by 2 degrees boaties should be cautious when crossing the Wide Bay bar. If you’re planning on heading offshore contact the guys at TCB Coastguard for the current waypoints for safe navigation of the bar. With just over a week to go for November get your entry in for our fish of the month competition for your chance to win $50 to spend in store. With the G20 summit locking down the majority of the Brisbane City this weekend why not escape for a couple of days to somewhere a little more relaxed? The heat wave forecasted for this weekend will make for ideal conditions for chasing a few mangrove jack with temps tipped to hit 40 degrees on Sunday the water will be just about boiling. 10-15 knot winds from the north to north west will make fishing the open waters of the bay a little difficult however there are options for seeking shelter in one of the many creeks such as Teebar, Tuan or Kauri Creek via the Tinnanbar Road. Over the past week there has been some good catches of mangrove jack up to 50cm coming from the creeks as well as a few solid grunter around mid-40’s to 50’s. Whilst schools of bait fish have been difficult to locate at times it does pay to spend a little more time looking, as live baits work best however fish are also responding well to flesh baits of mullet fillet or working lures such as the Zerek Live Cherrabin and Hot Leg Shrimp is also worth a shot. With low tide falling mid-morning over the weekend it will be worth walking the flats flicking some surface lures for whiting try areas such as Pelican Bay that will offer some shelter from the wind. Care should be taken when walking the flats as there has been a number of stonefish sightings of late so make sure you are wearing shoes. Christmas is only 6 weeks away so why not stop past the store to see what gift ideas we can help with? We stock are great range of fishing gear, kids scooters and can now even hook you up with a brand new Viking kayak as well. Our take home layby option will make Christmas shopping easy this year all you need is 20% deposit & pay the balance off over the next 2, 3 or 4 months interest free. We already have a number of entries in for the fish of the month competition so don’t delay get your entry in for your chance to win $50 to spend in store. The forecast for the weekend is looking good so that means it’s time to start packing the boat & looking where to go to wet a line. Mid morning high tides this weekend will provide an ideal opportunity to head up the creeks in search of a few mangrove jack & threadfin salmon. Otherwise fish the evening high tides around 9pm. The past week has seen a number of mangrove jack being caught with soft plastics rigged on weedless hooks providing good results. Lightly weighted live baits of herring, mullet & diver whiting rigged on a 4/0-6/0 hook also work well. If you don’t have time to throw a cast net around for a few livies then strips of mullet fillet will also a treat. Try creeks such as Carlo, Teebar, Snapper & Kauri. In the bay there have been reports of queenfish, trevally & the odd mackerel around Inskip Point. Summer whiting have been around in reasonable numbers try around Ida Island & Pelican Bay for best results. Live worms or yabbies will be your best bet otherwise try flicking small surface lures to entice a bite. Live beach worms will be available in store this weekend so phone ahead to reserve yours today. QBA Rocket cash is this Friday night & this month’s code is up in store. $100 is on the line for the first fish weighed in. Check the QBA website www.qldsbestangler.com after 7pm on Friday night for the target species & length. It’s been a hot & sticky week with temps in the mid 30’s & afternoon thunderstorms. This is enough to get most mangrove jack fisherman excited to say the least. With high tides this weekend falling around mid to late afternoon this will give anglers a chance to head up the creeks in search of a few mangrove jack & barramundi. Don’t forget from midday Saturday the closed season for barramundi will come into effect. If you do manage to land a barra after this time please take care & release the fish as soon as possible after capture. Over the past week we have had reports of whiting to 30cm in the southern end of Tin Can Bay along with pan size flathead up to 50cm. Whilst the sun has been out in force so has the wind so reports of fish coming from the open waters have been scares’. Looking at the forecast for the weekend Friday morning & Sunday are looking to be the pick of the days with the wind blowing around 8-12knots from the north will make fishing the open areas a little more uncomfortable. Recommend seeking shelter in creeks such as Teebar, Carlo & Snapper. Last weekend we ran a trial of having live beach worms in store. Whilst weather conditions weren’t the best the live worms were well received & we will continue to trial having them every second weekend. Just look for our new sign on the corner when they are available. Another week has flown by & it’s that time again to starting planning how you are going to unwind after work. In the bay there has been some quality whiting being caught around Inskip Point as well as good numbers of diver whiting in Snapper Creek & around Norman Point. There have also been a few reports of big cod being caught around Teebar Ledge. With the neap tides over the next few days this is the ideal time to fish areas like Teebar & Seary’s ledges as well as Bluff Reef. Live bait’s such as poddy mullet, yellowtail pike & herring all work well when chasing cod. You will generally need a fairly solid outfit spooled with about 50 pound line & heavy leader. The big cod will generally tend to smash your bait & make haste for their den in a cave or under rocks before the unsuspecting angler has time to react. Teebar Ledge is also known to hold the odd barramundi from time to time along with kingfish & a mixed variety of reef species. It does pay to sound along the ledge making note of any structure holding fish but also to give you an idea of the structure you will be fishing. There are a few areas that generate great back eddies at varying stages of the tide & are worth a try. The forecast this weekend looking a little average with possible showers forecast for Saturday & Sunday with winds from the South East around 5-10 knots. Be prepared Rainbow Beach will be busy this Saturday with the annual nipper surf carnival which will see hundreds of nippers from all over competing & this means car parking spaces will be limited so best to get in early. Jim @ Tin Can Bay Boat Hire. We had a great run of weather for the school holidays and the Labour Day long weekend & looking like it will continue through to the coming weekend with the temperature set to reach 28 degrees. With this high tides falling around mid morning this weekend this will make a great opportunity to head up the creeks in search of a few Mangrove Jack, Threadfin Salmon & Barramundi. Now the water temperature is increasing these fish will become more & more active over the coming weeks/month. If you are planning to chase a few Barra now is the time to do it before the closed season commences at midday on the 1st of November. We have been getting reports of Flathead in Snapper Creek along with a few Tailor & Trevally. There has also been a number of solid Grunter/Javelin fish being caught with the periods of low light around dusk & dawn producing the best results. In the bay there are schools of whiting around Ida Island with baits of worms, squid & live yabbies working well. Berkley Gulp 2” Sandworm soft plastics make a great alternative to bait. The Gulp range of soft plastics are impregnated with a fish attractant which allows them to be effectively fished even when stationary. Just rig them as you would a worm on your standard whiting rig you may be pleasantly surprised with the results. Entries are flooding in for the fish of the month competition so get your entries in for your chance to win $50 to spend in store. School holidays are here again & judging by the bookings it is looking like it is going to be busy this year. The boat ramp upgrades at Norman Point are almost complete & the floating pontoon has been opened for use whilst they put the finishing touches to the southern ramp. These upgrades has caused a bit of a stir with many locals unhappy with the restricted access to the beach on the northern side of the ramp, although I am sure we can all agree though that these upgrades have been long overdue. The fishing scene has been a little quiet this week with only a handful of reports of the bread & butter species such as whiting & flathead. Some good size tailor are about in Snapper Creek at present. Whilst dusk & dawn are the best time for tailor try working hard bodied lures around the moored trawlers during the day. This weekend’s neap tides should provide the ideal opportunity to hit Bluff reef in search of a feed. Try getting out early on Saturday morning fishing the last of the run in shortly after day break. The current forecast is looking like Saturday is the pick of the days with light winds & a possible shower before increasing Sunday & Monday to around 10-15knots. The warmer weather this winter didn’t seem to slow the crabbing scene too much & as the water temperature continues to increase we should again see an increase in catches. The odd report of mangrove jack & barramundi are filtering through & will continue to increase as the water temp rises. If you’re planning to head out for a Jack session creeks such as Carlo & Teebar will be worth a try. If you’re planning to visit Tin Can Bay over the weekend make sure you fill up before you arrive. The service station in Tin Can Bay is currently undergoing a facelift & is experiencing minor technical difficulties of which the hope to have resolved in the next day or so. Don’t forget to get your entries in for the fish of the month competition this month for your chance to win $50 to spend in store. The near perfect conditions last weekend saw a heap of boat traffic on the bay. The neap tides saw areas such as Bluff Reef and Big Mick well patronised by those in search of a few reefies and the odd pelagic. Catches of moses perch, parrot, blackall and sweetlip were common. Some good whiting have been about around Ida Island to Norman Point with several nice summer whiting around the 30cm mark. Live yabbies, squid and worms are reported to be providing the best results whilst drifting with the tide. The offshore scene was also firing well with a number of great snapper being caught along with a few cobia and amberjack. The current forecast for this weekend isn’t looking too favourable with wind up to 15knots from the south-east. For smaller vessels try sticking to the creeks such as Carlo, Snapper and Kauri or around the sheltered waters of Pelican Bay. Don’t forget this Sunday is Father’s Day. If you still haven’t got dad anything why not call past the shop? If you don’t know what he wants why not get him a gift certificate. With the wind up this weekend it may be worth checking out the TCB Lions Club Charity Day at the TCB Country Club this Sunday 10:30am start and $10 to nominate there will also be a sausage sizzle and raffles on the day. New month so get your entries in for our fish of the month competition for your chance to win $50 to spend in store. At long last it looks like we are in for a good weekend. Sunny with light winds means what better way to unwind after a long week at work than to wet a line. Recent rain should have given our creeks a well deserved flush out so hopefully we should be seeing the schools of bait fish more active in the bay. Looking at the current forecast Saturday is looking to be the pick with variable winds around 5 knots through the day before dropping off to around 2 knots overnight. This in conjunction with the neap tides this weekend should provide for ideal conditions for anyone wanting to head out for an evening session chasing squid or hitting the shallow reefs for squire, sweetlip & cod. Sunday morning also looks pretty good before the wind creeps up around 5-10 knots in the afternoon. The early morning & late afternoon low tides are a great time to get out & flick a few plastics for flathead or pump a few yabbies before fishing the incoming tide for whiting. Don’t forget father’s day is coming up so why not grab your Dad something he really wants? Drop by our store to see what gift ideas are available from the new Wicked Fishing DVD to a new rod & reel combo Tin Can Bay Boat Hire have got you covered. This is the last weekend for the month so make sure you get your entries in for our Fish of the Month Competition just drop by the store & weigh in your catch best of all it doesn’t have to be the biggest fish to win. Until next time have a great weekend & be safe on the water. Even though the weather has been a little average over the past week or so there has still been a number of boats hitting the water. We have only had a handful of reports coming through of flathead being caught off the flats around Tin Can Bay as well as a monster 81cm flathead being caught on charter with Double Island Point Fishing Charters. Quality javelin fish have been coming from Snapper Creek with prawns being the pick of the baits. Squid are still about in some reasonable numbers with the bigger specimens coming from night time sessions. The wind is forecast to be up a bit again around 5-10 knots this weekend from the SE along with a few showers. Best advice for smaller vessels will be to seek shelter in the creeks such as Snapper & Carlo. The Norman Point boat ramp will be closed this Friday the 22nd from 6am to 12pm to allow for additional work for the ramp upgrade. If you’re planning to head out it will be best to make alternative arrangements to use the ramp facilities at Carlo Point. Get your entries in for our fish of the month competition for your chance to win $50 to spend in store. August is well underway which can only mean the westerlies won’t be too far away. This generally means relatively calm conditions in close providing ideal conditions for small vessels to launch off the beach at Rainbow & hit the close reefs in search for a few hungry Snapper. Conditions over the past week have been a little average with very little fishing activity in the bay & offshore. Looking at the forecast for the weekend it is looking pretty much the same with a small window of opportunity early Saturday morning to sneak out for a quick session before the winds pick up around mid morning. Sunday is looking to be the pick of the days although current forecast is tipping the wind to pick up around lunchtime to just shy of 10 knots before dropping away again late afternoon. Best advice for the smaller vessels will be to stick to the sheltered areas & creeks such as Snapper & Kauri. We have had a couple of reports that schools of golden trevally have been working along the drop offs in Snapper Creek so make sure to keep an eye out. These guys can be great fun on light tackle. The Norman Point boat ramp upgrades are well underway & are expected to last a few more weeks yet so make sure you plan your trip allowing for a little extra time at the ramp when both launching & retrieving your vessel. As the weekend approaches yet again now is the time to start focusing on the important stuff like fishing. The current forecast is looking pretty good with light wind & only a chance of possible showers so there is no reason to not hit the water for a bit of well-deserved R&R this weekend. Over the last week we have seen catches of the usual suspects being flathead, bream, whiting & squid. Diver whiting & squid are coming from in front of Tin Can Bay whilst the bream & flathead have been active in the creeks such as Carlo, Snapper & Teebar. Saturday morning is looks to be the pick of the days with light winds in the morning before increasing early afternoon to 5-10 knots. With high tides occurring around mid-morning it will be worth a try fishing the shallow reefs around Tin Can Bay for squire around first light or venturing up the creeks in search of a feed of flathead. With the re-vamp of the boat ramp at Norman Point now underway expect a few delays with one lane of the ramp being closed & access to the beach on the northern side of the ramp is restricted. Best to plan your trip so that you are not hitting the ramp around peak times where possible. The short term inconvenience of these works will be greatly outweighed by the benefits we will see to the improvements that will be made to these facilities. Over the course of the works there will be some temporary closures of the ramp. Keep an eye on our Facebook page as we will do our best to provide regular updates of when to expect these closures so you can plan around them. This weekend is your last chance to get in our Fish of the Month draw for July so make sure you stop by & weigh in your catch for a chance to win a $50 voucher to spend in store. The Rainbow Beach Fishing Classic has finished for another year & with perfect conditions over the last few days of the comp the final night saw some spectacular fish being weighed in. As the school holidays have wrapped up & the crowds are slowly dispersing home we have been treated with some relatively good weather. Unfortunately the forecast for the weekend isn’t looking to crash hot with winds expected to reach 25+knots inside the bay on Friday before a cool change seeing the mercury drop to 2 degrees on Saturday morning & 10-15 knot winds from the SW should only see the diehard fisherman hitting the water whilst others will being seeking shelter from the wind up the creeks chasing bream & flathead. For those after a few tailor the northern side of Double Island Point should provide some protection from the wind & with the early morning low tides beach conditions should be ideal. There has been some quality squid being caught around Ida Island along with solid whiting & flathead although with the current forecast it looks like Tuesday & Wednesday will be your best option. It is been fantastic weather for the start of the school holidays & there has been plenty of boat traffic about in the bay. There has been good catches of squid & whiting in front of Tin Can Bay with best results coming from those who are drifting with the current. With the 2014 Mitsubishi Motors Rainbow Beach Family Fishing Classic kicking off tonight it looks as if the run of good weather will continue & should hopefully see plenty of good quality fish weighed in during the 8 days. With a major prize of $10,000 cash what more incentive do you need to sign up? The recent cold snap should see the more quality snapper come on the bite. If fishing inside the bay try working the shallow reefs around first light or around dusk. Lightly weighted pilchards rigged on 3/0 or 4/0 gangs is a productive method for chasing the squire/snapper on the shallow reefs around TCB. Whole baits of fresh squid or cuttlefish heads also works well. Establishing a good berely trail is also key to not only attracting the fish to your boat but also keeping them there. Try using old bait minced up & mixed with chicken pellets & tuna. Then spoon out about a cup or so every few minutes to get the fish to the boat once there you can leave it a little longer between scoops but don’t leave it too long otherwise the fish will disperse . The tailor have started showing up on the beach’s around Rainbow & being a target species for the fishing comp will see the beach well patronized. If you’re after quality whiting try working the sand flats around Ida Island using worms or live yabbies for bait. Flathead are being caught in good numbers with the better quality fish being taken further up the straits so if you’re seeking a quality fish be prepared to travel a little further. Make sure when handling any of the larger fish if you intend on returning to the water that you do not lift by the head only & that you support the belly of the fish. For trolling try using hard bodies lures such as Lively Micro Mullet or Sebile Koolie Minnows. Soft plastics are also a good option with Berkley gulp 4” minnow’s being a personal favorite. Make sure if you are fishing the comp that you familiarize yourself with the rules. We will be there again this year so make sure to say hi if you see any of the Tin Can Bay Boat Hire crew. Have a great weekend & be safe on the water. School holidays are upon us & the weather couldn’t look better. The recent cold snap should hopefully bring the bigger snapper on the bite just in time for the 2014 Rainbow Beach Family Fishing Classic held from July 4th to the 12th. In the bay there has been good numbers of squid & cuttlefish being caught around the Lady Woodward ferry. Small parrot as well as squire are also being caught in this area. Diver whiting are about in reasonable numbers with the better catches coming from the deeper water. For best results it is worth mixing up a berley of chicken pellets & tuna oil. This will help bring the fish to the boat as well as hold the school close by. It is worth trying for flathead in the creeks & around the flats about 2 hours either side of the low tide. Look for channels/drains where the water is running off the sand flats on the run out tide. These will be the areas where the flathead will be lurking. Longtail tuna are being caught around Inskip Point & just beyond the surf break at Rainbow. Schools of trevally have been spotted feeding on surface in Snapper creek in the early mornings. First light before the boat traffic increases is the best time to target these fish using surface lures. The Australian Fishing Trade Association trade show is being held this weekend so expect to hear about some of the latest innovations & products soon to be released over the coming weeks. Despite a little rain the past week has been fantastic weather with glassed out days on the bay & the best news is it looks to be continuing through the weekend. School mackerel & queenfish are active around Big Mick although only the odd legal sized specimen amongst them. Longtail tuna have been working the channel between Inskip & Fraser. Flathead are active throughout the Straits with the bigger models coming from the western side of Fraser Island. Diver whiting are being caught in front of Tin Can Bay in 5-7m of water with worms & freshly pumped yabbies working best. Squid are still being caught in the same area & pays to keep a rod setup with a jig as they will often be seen following up your baits & lures. Mid-morning low tides should provide beach anglers a chance to hit the beach at first light to go in search of a few whiting, dart & tailor. We have 25% off selected items in store at present so why not stop by & grab a bargain. Plus check out Shimano Australia’s stocktake sale. All items are available for order & we can ship Australia wide if required. With two weeks left until the 2014 Mitsubishi Motors Rainbow Beach Family Fishing Classic have you got your entry in yet? Let’s hope this great weather holds for the comp. Don’t forget to stop past the shop to weigh in you catch for you chance to win a $50 voucher to spend in store. Time flies on the short weeks following a long weekend. As the weekend draws nearer it’s time again to start looking at your options for where to go & what species to target. The weather during the week has been rather average with strong winds & rain keeping all but the diehards off the water. There is hope though as the current forecast is for the wind to drop off by Friday although the showers are set to hang around a bit longer before clearing on Sunday. Despite the rain Friday is looking pretty good for those prepared to drag out the wet weather gear & hi the water. Winds are forecast from the south to ESE up to 5 knots. These conditions should allow boaties to head out & fish the open waters of the bay. Reports of school mackerel & longtail tuna have been coming from the channel between Inskip & Fraser. There has been plenty of bait schools about so make sure to pack a few bait jigs. Flathead are being caught in good numbers with several reports of quality fish over the 50cm mark. For the bait anglers try pilchards or white bait if you’re in a rush however if you have time to gather a few live baits of diver whiting, herring or poddy mullet these tend to end up producing better quality fish. Soft plastics or hard bodied lures worked around the drop offs a couple of hours either side of low tide are also worth a try. Creeks such as Teebar, Carlo & Kauri are good options although Bullock Point & Pelican Bay are also worth a look. The odd Barra is still skulking about with a quality 3.8kg specimen weighed in on Wednesday by an unsuspecting angler working the flats for bream & flathead. Just goes to show you never know your luck around this neck of the woods. Squid are still about in front of Tin Can Bay. Chopper tailor & school mackerel are starting to show up in numbers & are feeding on schools of bait fish. Working the entrances to creeks such as Carlo or Teebar should provide good results. Floating baits of whole pilchards rigged on a set of gangs should result in a feed or for those wanting a little more fun try casting small chrome slugs up to 20g on you bream gear. While tailor is best eaten fresh it also goes well in the kipper box. The upcoming long weekend is within our sights & it looks like the warmer day time temperatures will hang around as well making for perfect conditions to go camping. With the current forecast tipping winds to reach maximum approx. 10 knots from the south east there are still plenty of options for those wanting to get out on the water to wet a line. Reports of schools of yellowtail scad schooling up around Big Mick should mean the mackerel will be lurking about in the area as well. Friday looks to be the best chance to fish this area before the wind picks up over the weekend. The channel between Inskip & Fraser is a good choice in southerly winds with the Inskip Peninsula providing protection from the wind. Teebar Ledge has been a little quite with only a handful of reports including a solid Blackall taken earlier in the week. Flathead have been caught in good numbers. Flicking soft plastics or trolling hard bodied lures approx. 2hrs either side of the low tide providing good results. Lures such as Lively Micro Mullet or Sebile Koolie Minnows trolled at speeds between 3-4 knots along drop offs are a great way to cover plenty of area to find the fish. Once you find where the fish are holding keep working that area as chances are there will be a couple of fish schooling up. Still plenty of squid being caught around Norman Point although you’re having to compete for space as there has been several other boats working the same area. The beaches have been a little quite with reports of only a few smaller whiting, dart & tarwhine being caught. The weather for the past week has been fantastic with light winds, clear skies & warm days would make you think we are in spring not days away from the start of winter. The Straits have been busy with plenty of boaties taking advantage of the great conditions to hit the water & wet a line. Reports of good catches of diver whiting throughout the Straits. Flathead are about in good numbers with some of the better quality fish coming from north of Inskip Point. Squire are being caught on the shallow reefs / gravel patches around the eastern side of Tin Can Bay with peak times being dusk & dawn. Chopper tailor have started to show up in the bay & over the coming weeks we should see their numbers increase. The warmer weather has seen the crabs a bit more active with catches of both sandies & muddies coming from the creeks such as Teebar & Carlo. Looking at the forecast for the weekend looks like we are in for similar conditions to those we experienced last weekend with light winds to approx 6 knots or less from the SE switching to easterly on Sunday morning. Mid-afternoon low tides should provide for good conditions to get out & flick a few plastics around for flathead with the last two hours before the bottom of the tide being the best time. Gympie show long weekend is here & you guessed it the forecast is for rain! Despite the poor conditions there has still been a few boats getting out with reports of sand & mud crabs coming from the creeks such as Teebar & Carlo. The trevally have been active in Snapper Creek. Fishing the bottom of the tide is giving the best results. Soft plastics or lightly weighed baits of prawns are working well. Flathead are about in good numbers with a mix of both sand & dusky flathead being caught It is worth making yourself familiar with the difference between these two different species of flathead as the size limits are not the same sand/bar tail flathead have a size limit of 30cm whilst the dusky is 40cm & a max of 75cm. There has been a few squid caught over the past few weeks around Norman Point with best results coming from drifting with the tide whilst continually working new ground. Looking at the forecast for the weekend the pick of the days is looking to be Sunday. The forecast is for ESE winds around the 5-6 knots in the morning increasing to 8-10 knots around midday then dropping off to 5-6 knot again in the afternoon. So best chance is to seek shelter in the creeks such as Carlo, Teebar or even Kauri. With the low tides falling about 2 hours before sunrise & sunset it is worth chasing a few flathead. Soft plastics around the 4” long rigged on jig heads between 1-6th to 3/8 oz working a treat. Live baits of herring, mullet, winter whiting or silver biddies also working well. Despite to odd shower or two the weather for the last week has been fairly good & it’s looking like it will continue throughout the weekend with light winds & the odd shower of rain forecast approx 1-5mm shouldn’t be enough to stop you from hitting the water. The offshore scene has been fishing well over the last week with quality spanish mackerel in good numbers. The reefs in close off Rainbow have also been fishing well for a mixed bag of squire, pearl perch, moses perch & parrot. Beach conditions have been pretty good of late & providing a perfect opportunity to launch off the beach at Double Island giving those boaties with smaller boats a chance to hit these reefs. Schools or longtail tuna & spotty mackerel have also been working in close to the beach & within easy reach of even the most novice kayak fisho. We have received a number of reports of a few jew being caught off the beach south of Mudlo rocks. I had a chance for a beach fish on Tuesday night which resulted in a 4.39kg Slate Bream which took a squid head rigged on a 6/0 Octopus hook. The same bait combination also resulted in a gummy shark & undersize jew. As the temperatures continue to drop we should start to see the Tailor show up on the beaches again. We have a range of beach combos in store starting from $47.50 so why not drop past the store & check out our range. Inside the bay there have been quality flathead being caught on soft plastics & reports of larger models falling to live baits. Squid are about in good numbers around Norman Point & make for a tasty feed when prepared fresh. Whole squid also make great live baits when fishing areas like Teebar & Seary’s ledges. A two hook snelled rig is ideal for rigging live squid this allows the top hook to be pinned in the top of the hood & gives the bait in a more natural appearance even when trolled. Winner of our Fish of the Month competition for April went to Storme Ludke for his 352g Bream. Well done Storme & keep those entries coming in. For your chance to win $50 to spend in store, simply drop past the store to weighing in your catch. For more details drop past the store located at 6/6 Scullett Drive in Tin Can Bay near Mitre 10. Have a great weekend. Looks like we are in store for another cracking weekend this weekend with light winds forecast to 7 knots from the north to north west. There has been good catches of squid coming from Norman Point south to Crab Creek. Drifting with the tide working jigs around the 3.0-3.5 working well. A few smaller squire are present on the shallow reefs around Tin Can Bay along with a few parrot & cod. Schools of golden trevally have been seen feeding on along the drop offs in Snapper Creek about an hour after low tide. Reports of quality whiting around Ida Island with live yabbies & worms working best. Flathead are about in good numbers with several reports of fish up to 92cm being taken further up the Straits on live baits whilst many more are also falling victim to soft plastics. Berkley Gulp 4” Minnow rigged on 1/4oz TT Jig heads proving to be a popular choice. Temperatures are set to drop around Sunday to 6 degrees in the bay so if you’re heading out early be sure to pack a warm coat. New month so get your entries in for our fish of the month competition. Win $50 to spend in store by simply weighing in your catch. For more details drop past the store located at 6/6 Scullett Drive in Tin Can Bay near Mitre 10. Have a great weekend. Looks like the run of fantastic weather we experienced over the Easter long weekend will continue for the ANZAC day long weekend. With only a 3 day week between Easter & ANZAC day we still have plenty of holiday makers hanging around enjoying an extended break. The water ways were busy over the weekend with glassed out & perfect conditions with spots like Teebar Ledge well patronised. Over the last week we have had reports of school mackerel around Ida Island, quality javelin fish coming from the creeks along with even the odd late season mangrove jack. There has been some good catches of flathead of late with a 1.7kg specimen being weighed in by one local angler over the Easter weekend. The ledges have been fishing well for a mixed bag of reef fish such as blackall, parrot & cod. Looking at the forecast for the weekend looks like we are in for another stunner. Early morning & late afternoon high tides will provide those anglers wanting to chase a few late season jack a chance to head up the creeks while mid-morning low tides are great for families wanting to get out & chase a few whiting. Live yabbies or worms are often the best bait for these fish whilst using a small number 6 mustad bloodworm hook will account for a more consistent hook up. Keep the entries coming in for our fish of the month competition for your chance to win a $50 voucher to spend in store. With school holidays are now in full swing traffic on the water is starting to increase. Great conditions last weekend saw plenty of boats on the water and a number of quality fish being caught. Reports of good size flathead around the sand flats on the western side of Fraser Island responding well to soft plastics. Some quality mangrove are also still being taken. As the weather continues to cool down and the water temp drops species like mangrove jack & barramundi will begin to slow down. Upside of the cooler water temperatures is species such as snapper will start showing up in greater numbers. The shallow reefs around Tin Can Bay are a great option for those with smaller boats wanting to get amongst a few of these great eating fish. Peak times are often just after first light or around dusk. Whole baits of pilchard or squid working well along with soft plastics and hard bodied lures. This weekend’s forecast is looking brilliant with light winds on Friday and Saturday before increasing slightly on Sunday around mid-morning to around 8-10 knots. With high tides around an hour or so after sunrise and sunset this will provide anglers a chance to head up the creeks chasing a few late season mangrove jack and barramundi. Live baits of herring, mullet or silver biddies are a fantastic bait when chasing these species. Rigged on a lightly weighted rig with 30-50 pound leader and 4/0-6/0 hook. If you are unable to locate a few live baits before heading out flesh baits of mullet or bonito also work well. Low tides around midday are a great time to target species such as flathead and whiting on the sand flats. Fishing the drains where the water is running off the sand flats about an hour or so before the bottom of the tide. Casting upstream and working soft plastics with the tide or trolling hard bodied lures such as Live Lures Micro Mullet or Sebile Koolie Minnows along the edge of the channels are a couple of my preferred methods for chasing flathead. For whiting try using worms or live yabbies fishing similar areas on the run out tide or over yabbie banks on the incoming tide. For more information, stop past our store located at 6/6 Scullett Drive in Tin Can Bay. We also have a range of hire boats including Hobie kayaks to suit everyone licenced or unlicensed. The recent rains have given the creeks a much deserved flush out & have seen good numbers of crabs caught over the last week. Good catches of flathead further up the Straits near Inskip Point. Try working the drop offs at the entrance to the creeks or where water is draining off the sand flats on the run out tide. The shallow reefs around Tin Can Bay have been fishing well for species such as squire, sweetlip & Moses perch with peak times being about an hour after first light. If possible arrive on location about an hour before hand to establish a good burley trail & bring the fish in. The current forecast looks like we are in for a great start to the school holidays with light winds around 3-6 knots on both Saturday & Sunday these lighter winds in conjunction with this weekend’s neap tides (smaller tides) will make for ideal conditions for fishing area’s like Bluff Reef & Teebar Ledge. The less run in the tide means you won’t need as much lead to get your baits to bottom & should see catches of a few nice reefies. With this in mind it is still worth floating pilchards or yakkas for a chance at hooking up to school or spotty mackerel. For members of Qld’s Best Angler don’t forget this Friday is Rocket Cash win $100 for one fish. Both the Rocket Cash & Mystery Length codes for April in store so be to drop by & collect the code before the weekend. The target species will be announced at 7pm on Friday night so be sure to check out the QBA website or visit our facebook page for the species. If you’re not already a member of QBA we have memberships including the 2014 QBA brag mats available in store. Easter is a extremely busy time on the water. With increased patrols by QLD Boating & Fisheries Officers it is a good time to give you boat a safety check before heading away on holidays. By taking the time to make sure everything is ok before your leave you may save yourself some expensive fines that will no doubt ruin your holiday. 1. Do you have all the required safety equipment on board? 2. Are your flares etc within date? 3. Is your boat & trailer registered with labels clearly visible? If traveling long distances have your boat trailer inspected by your local dealership. There is nothing worse than being stuck on the side of the road with a broken trailer. 4. Are you up to date with any changes to recreational fish sizes & bag limits? Fish sizes & bag limits…. These holidays it’s also worth being a little more patient around the boat ramps with increased traffic & pedestrians. Rather than getting frustrated if someone is taking a little longer on the ramp offer to lend a hand to help speed up the process. Don’t let ramp rage destroy what would otherwise be a great day on the water. The winner of the Tin Can Bay Boat Hire Fish of the Month competition goes to John Siemek for his Barramundi caught on the 24/03. Congratulations John you have won a $50 voucher to spend in store. For more information on our fish of the month competition or the Qld’s Best Angler competition stop past our store located at 6/6 Scullett Drive in Tin Can Bay near Mitre 10. After weeks of dry weather the rain over the last few days has been a welcome sight giving the bay & creeks a much needed flush out. Before the rain hit we had a few absolutely brilliant days with glassed out conditions inside the bay. Schools of queenfish were prolific around Inskip Point with metal lures in the 20-40 gram range working a treat with reports of the odd school mackerel also amongst them. 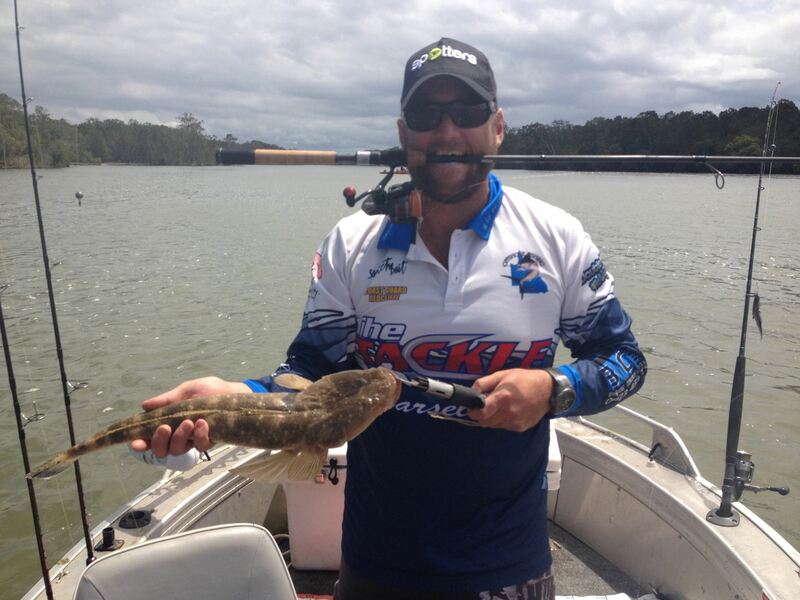 The creeks have been fishing well for flathead with several reports of fish in the 50-60cm range being caught during last weekend’s Pirtek Fishing Classic. Threadfin salmon have also been about in good numbers with reports of anglers seeing them cruising the shallow flats looking for a feed. A few nice Barramundi have been about with one local angler weighing in a nice 6kg fish approx 80cm in length on Monday. The rain over the past few days should see good catches of mud crabs over the next few days as they are washed out of the creeks. Despite the forecast for showers on Saturday it still looks to be the pick of the days to hit the water with light north to north westerly winds to less than 5 knots should provide for near glassed out conditions. With high tides around mid morning this should provide anglers a chance to head up the creeks in search of a few mangrove jack & barramundi or try fishing in the channel between Inskip Point & Fraser for mackerel, trevally & queenfish. Even though their eating quality is poor queenfish do provide great sports fishing action on light spin gear or even fly. The weekend is close & that means time again to start planning your next fishing expedition. Looking at forecast the wind is set to drop off Friday evening providing anglers a chance to fish the start of the run in tide around dusk for mangrove jack, barramundi & threadfin salmon. Creeks such as Teebar & Kauri are worth a try. Live baits of herring, silver biddies or mullet should give good results. The fishing has been a little quiet over the last week with only a few reports of flathead around the entrance to the creeks such as Alligator & Dinnies. Whilst others are reporting catches of a few nice sized whiting have also been about with better specimens coming from the sand flats around Ida Island. Early morning on Saturday looks good before the wind kicks up to about 7-8knots from the south east around 10am. The current forecast predicts that the wind will drop away during the afternoon. With high tides falling around midday it’s best to head up the creeks to escape the wind & wait it out. Sunday is looking much the same as Saturday with the wind picking up mid morning before dropping away again in the afternoon. So early morning sessions would be your best option if you want to fish the open waters of the bay for species such as squire or mackerel. This Sunday is also the date for the 2014 Pirtek Fishing Challenge. This is a nationwide event with the target species for each state being announced on Saturday night. At only $20 to enter is a great cause with proceeds going towards the Prostate Cancer Foundation of Australia. Best of all you don’t even have to catch a fish to win a prize. Tin Can Bay Boat Hire is showing our support by offering a 10% discount off all boat & kayak hires to competitors of the event along with a further 10% off in store. As an added bonus we are also donating 10% from all hires to the Prostate Cancer Foundation of Australia. So why not show your support for this great cause. To book a vessel give us a call on 0408 329 167. Don’t forget about our fish of the month competition win a $50 voucher to spend in store. Just by submitting a fish you go into the random prize draw. Drop by the store located at 6/6 Scullett Drive in Tin Can Bay (near Mitre 10) for details. Have a great weekend. For the first time in weeks the forecast for the weekend is looking great. The current forecast is for light winds from 3 – 7 knots from the south on Saturday with Sunday looking much the same. 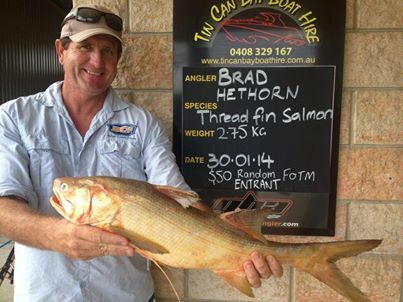 The lighter winds will provide boaties the chance to fish the open waters of Tin Can Bay. It’s worth trying areas like Big Mick & Bluff reef for mackerel. Floating whole pilchards or yakka’s rigged on gang hooks is a great option whilst trolling hard bodied lures is another, this allows you to cover more ground & locate where the fish are feeding. Good quality mangrove jack have been taken in the creeks along with a few threadfin salmon & barramundi. Live baits of herring, silver biddies or mullet working best. A few reports of quality flathead have been coming through with fish up to 60cm being common. Anglers who hit the water early are being rewarded with pan sized squire on the shallow reefs around Tin Can Bay. The best time to target these fish is in the low light periods usually about an hour or so after first light. A good burley trail is essential the help keep the fish nearby. Readymade burley is available from most tackle stores or if you have time make your own using old bait scrapes thrown through the blender or meat grinder. Just a reminder about or fish of the month competition. For your chance to win a $50 voucher to use in store simply drop by the shop located at 6/6 Scullett Drive, Tin Can Bay & have your fish weighed & photo taken with our weigh board. The winner will be announced on our facebook page & photo published alongside our next article in Bush n Beach fishing magazine. TGIF! As the weekend draws near again it’s time to start planning the important stuff like fishing! Looking ahead at the forecast for the weekend Saturday is looking to be the pick of the days. With light to moderate SE winds up to about 7 knots before picking up to a bit over 10 knots around mid-morning on Sunday. The neap tides this weekend will provide the ideal conditions for fishing areas like Bluff Reef. With reports of school, spotty & even the odd Spanish mackerel have been taken in this area or try bottom fishing for squire, sweetlip & parrot. Reports from the creeks are of barramundi, jack & cod being taken on a mix of live bait & lures. Creeks such as Teebar, Kauri & Carlo fishing well. Some large elbow slapper whiting have been caught in Carlo creek using surface lures in shallow water. Inskip Point has also been fishing well with large golden trevally, school mackerel & sharks being taken on live baits. Don’t forget about our fish of the month competition just drop by the store & have your fish weighed & photo taken near our brag board for your chance to win a $50 voucher to spend in store. Until next time stay safe on the water. As the weekend approaches it time again to starting looking at what has been biting in the area. Snapper Creek has been fishing well for bream, cod & trevally. Live herring is working well although difficult to come by at times with the next best option being mullet fillet. Still plenty of mangrove jack coming from the creeks with best results coming from the late afternoon to evening sessions. It’s well worth setting a few crab pots when heading up the creeks chasing jacks as the mud crabs have been in fairly good numbers of late. Still plenty of small school, spotty & Spanish mackerel being taken in the channel between Inskip Point & Fraser Island, for the larger mackerel try trolling hard body lures or whole gar rigged on a weighted or skirted trolling rig this allows you to cover more ground to locate where the fish are feeding. If bait fishing is more your style try floating whole pilchards or yakkas on unweighted rigs in a berley trail. You can buy pre made berley although if you have the time making your own berley is always best. Try using old bait rather than discarding it at the boat ramp, at the end of the trip take it home & freeze your leftovers & when you have time grab an old blender or mincer (not the one from the kitchen) & blend it all up. I use any old bait I have in the freezer like prawns, squid, fish frames, pillies etc… add some chook pellets, tuna oil & even a bit of beach sand in the mix. Once the berley is all made I store in a 20lt bucket with a lid & place in the chest freezer. I then take the bucket with me & use a kitchen ladle to spoon out berley every couple of mins to create a solid berley trail. Best of all if you don’t use it all you can put the lid back on & back in the freezer for next time. The offshore fishing scene has been firing on all 8 cylinders of late with heaps of spotty & Spanish mackerel being caught. Up side has been a number of nice red emperor also being caught. On a recent trip offshore we landed 4 nice reds with the biggest going 12kg. If you are after a great day of offshore fishing & don’t have a boat capable of heading out over the bar give Greg at Double Island Point Fishing Charters a call on 0417073 313. Looking at the weather over the next few days those who are lucky enough to score a long weekend with Friday off are in for a treat with light winds early morning meaning the smaller boats can hit areas like Big Mick to chase the mackerel before the wind kicks up to about 10knots ESE around midday. The rest of the weekend is looking a little average with the wind blowing 10-15knots from the south east. Heading up the sheltered creeks like Carlo, Snapper or Kauri would be the best option to escape the wind & wet a line. The big tides in the early morning should provide the perfect opportunity to get right up the upper reaches of these creeks in search of a few jack & even the odd barramundi. It has been absolutely awesome weather this past week with light winds providing smaller boats the option to get out & explore the open waters of the bay in search of a few pelagics. School, spotty & Spanish mackerel have all started showing up inside the bar meaning smaller boats that wouldn’t venture out beyond the bar now have a chance at getting amongst these fish. The Channel between Inskip Point & Fraser Island, Big Mick or Bluff Reef are great places to start. Floating baits of pilchards or yakka’s rigged on gang hooks in the current is a great option for bait fisherman. Whilst if lures are your thing try casting metal slugs. Large schools of juvenile queenfish have also been present with 20g slugs used with a high speed retrieve working well. Trolling hard bodied lures or live bait around is also a great way to cover more ground and find where the fish are feeding just keep an eye on the sounder & try to get you baits/lures as close to the depth where the fish are feeding. The shallow reefs around Tin Can Bay have also been fishing well for squire, sweetlip and even the odd golden trevally. The run of hot humid weather has seen the jacks firing up well with the odd report of quality barra amongst them. Looking at the week ahead it looks like the wind will kick up Friday afternoon before dropping away again mid week. With temps in the high 20’s to early 30’s it will pay to seek shelter in the creeks & chase a few jacks & barra. We have received some great news over the past week & we are excited to announce that we have been appointed the Shimano dealer for the Tin Can Bay area. This means locals & visitors no longer have to travel to Gympie or Maryborough to get what they are after. We will be submitting our first order in the coming days & hope to have stock on the shelves by next weekend. We aim to be competitive with the big guys on price so if you are after something in particular let us know and we will see if we can price match for you. The highly anticipated Cranka Crab lures are now in stock. With 8 different colour options these lures are bound to be a smash with the bream & jack anglers @ only $19.90 each don’t delay as stocks are limited & they are sure to be walking out the door fast! Don’t forget our fish of the month competition. With just over a week left for the month be sure to get your entries in & remember to keep it fair this is a random draw so it doesn’t have to be the biggest fish to win. Finally the wind has started to die down and we have had a few days of light winds and clear skies. Reports of mangrove jack, cod and the odd barramundi coming from the creeks such as Kauri and Teebar. A couple of smaller squire have started showing up on the shallow reefs around Tin Can Bay along with a few sweetlip. The best time being just after sunrise. Pilchards rigged on gangs hooks with little to no weight giving the best results. Schools of small big eye trevally have being cruising the drop offs in front of Tin Can Bay. Surface poppers like Sebile Splashers 52-76mm range working well. Looking ahead at the weekend Saturday is looking to be the pick of the days with light winds from the north to north west 4-7knots before picking up around mid afternoon to 10 knots. Sunday has light winds 5-8 knots increasing mid morning to 8-10knots NW. While the winds are light it is worth heading up towards Fraser Island and fishing the channel between Inskip and Fraser for mackerel. For the month of February we are running a deal on Sebile hard body lures buy any two lures and get your third (to equal or lesser value) at half price. The crappy weather has continued to plague us this past week with only a handful of reports coming through. Mangrove jack have been coming from the creeks along with a few nice cod with a mix of both hard & soft lures doing the trick. The most popular colour choice has been white. Barra season has started off well with several nice fish being taken in the bay along with a few more stories of the ones that got away. It pays to make sure your gear is up for the task when chasing Barra as there is nothing worse than losing that trophy fish due to tackle failure. It’s well worth beefing up the trebles on your hard bodies from the standard ones from factory to something a little more robust. If your using soft plastics choose the jig heads with heavy duty hooks like the TT Headlockz XH or the Evolution HD range. Crabs have been active with several reports of people coming back with a feed of muddies. Upside has been the recent publicity by Fisheries QLD regarding the fines for those caught tampering with someone else’s crab pots. On the spot fines of $1100 for those caught interfering with crabbing gear you didn’t set. This is great news & hopefully it is enforced heavily around holiday/peak seasons. Looking at the weekend ahead & yet again Saturday appears to be the pick despite the forecast predicting light morning showers we are expected to get light winds from the SE early in the morning before kicking up to about 7-8knots ESE around mid-morning & continuing through the afternoon. Sunday’s forecast is for 6-8knot winds from the SE all day. In these conditions fishing the open waters of the bay is still possible although it’s best to find sheltered areas like the creeks or further south between the power lines at Seary’s Ledge down to Poverty Point. The weather for the past week has been awful with a strong SE making fishing in the open waters of Tin Can Bay near on impossible. The upside is in most conditions there is usually somewhere nearby you can go to get away from the wind & wet a line. During SE Snapper Creek in Tin Can Bay offers good protection from the wind & on the upside has been fishing rather well of late with reports of big Queenfish, Javelin fish & Trevally being caught. On the Rainbow side Carlo Creek & Bullock Point also offer shelter, even in strong winds you can find somewhere to paddle a kayak or putt around in the boat. All three areas are great spots to wet a line for Mangrove Jack, Flathead, Bream, Whiting & even the occasional Barramundi. Looking ahead at the weekend & Saturday seems to be the pick of the days with lighter winds in the morning around 5 knots increasing to 10 knots mid-afternoon which in conjunction with a 3.5m high tide around 10am will provide anglers an opportunity to head up some of the creeks in search of a few jack. The Mary River is another option for those wanting to explore new grounds with Tarpon, Threadfin Salmon & Mulloway all being caught upstream from Lamington Bridge. There are plenty of river prawns about so make sure you pack the cast net as these guys make great bait. Best of all from midday tomorrow (1st February) the closed season for Barramundi ends & you can officially target them again so now is the time to re-stock the tackle box with your favourite Barra lures & other terminal tackle. During the closed season we received plenty of reports of Barra being caught around Tin Can Bay some of which were around the 90cm mark all of which were released after a quick photo. Don’t forget our fish of the month competition WIN $50 to spend in store. Just call past the shop with you catch & have it weighed & your photo snapped near our weighboard. The weekend is upon us yet again so it’s time to stop thinking about work & start planning your weekends fishing efforts. The weekend isn’t looking to crash hot for fishing the open waters of the bay however areas like Carlo Creek, Bullock Point & Snapper Creek should all offer some shelter from the wind for the boaties. The old jetty pylons near the barge ramp at Bullock Point holds some great structure for those wanting to chase a few bream with the added chance of a few jack & maybe even the odd school jew. The sand/mud flats in this area also hold some good flathead and are well worth a try on soft plastics or hard bodied lures. Summer whiting are also in reasonable numbers around Bullock Point & there are heaps of yabbies on the flats. For the land based anglers Inskip Point will also off some shelter from the southerly winds that are forecast for the weekend. Inskip Point can offer some great land based fishing through the summer months with pelagic species such as mackerel, trevally & tuna frequently being caught off the beach. Live baits of whiting, mullet & herring are preferred just make sure your gear is up to the task as you can quickly find yourself losing a fish of a lifetime due to weak line of poorly maintained reels. Our new bait & tackle shop is now open at the corner of Bayside Road & Scullett Drive in Tin Can Bay. Drop by & say hi if you’re in the area. We are also running a fish of the month competition with the winner receiving a $50 voucher to spend in store. To enter all you have to do is drop by & have your fish weighed & photo taken with our weigh board. If you do drop by & the shop is unattended feel free to give us a call as we maybe out attending to hires & won’t be too far away. Until next time stay safe on the water & have a great weekend. Fishing Report Tin Can Bay 04/04/2013. We have really had a run of great weather over the last week. The boat ramps have been busy so has the bay. Over the past few days has seen catches of Golden and Giant Trevally coming from Snapper Creek. Yellowtail Pike have also been around in numbers at Norman Point. Try fishing small soft plastics approx 50mm or 2 inches long rigged on about a 1/12oz jig head. These guys provide great entertainment on light gear and the kids will have a ball catching them. Just be warned they do have a pretty nasty set of teeth so it’s best to leave de-hooking them to the adults. Pike make great live and dead baits although are also meant to be good eating. The shallow reefs around Tin Can are still firing well for small reefies such as Squire, Moses Perch, Blackall and Sweetlip with all species responding well to a well presented pilchard rigged on 3/0 gangs or cut in half on a single 4/0 hook. Try fishing at dawn and for the proceeding hours just after sunrise. If you can manage a time when the high tide corresponds with first light or just after then even better. Looking ahead the weekend is looking pretty good with light winds forecast. Saturday has light winds early morning increasing slightly too about 10 knots mid morning before dropping away again in the afternoon. Sunday is probably the pick of the days with light wind to a top of 7 knots all day. Both days are forecast for possible showers although this should be enough to deter anyone from getting out and wetting a line. To check out photos of recent catches in the bay head over to the Fishing Tin Can Bay Facebook page, please feel free to share any of your own pics of fish caught in the area on the page as well or email them to fishingtcb@bigpond.com . Don’t forget Tin Can Bay Boat Hire are now stocking a range of quality tackle including Gamakatsu Hooks, Berkley Gulp, Atomic jig heads, Sea Queen Bait and more making us a one stop shop for all your boat hire and fishing needs. Until next time stay safe on the water. Fishing Report Tin Can Bay 01/04/2013. Apologies for the late update the lead up to Easter was hectic! The past week has seen some great weather & the conditions on the bay have been postcard perfect. On the fishing front some quality Squire have been taken around the shallow reefs around Tin Can Bay along with some decent size Blackall & Cod. The Yakka’s are starting to school up around Big Mick so it is only a matter of time before we should see a couple of Mackerel show up again. Teebar Ledge has been fishing well for Bream & Moses Perch. Reports are starting to filter through of a few Chopper Tailor in the Bay so give it a few weeks & we should hopefully see them start schooling up in good numbers. These guys are great fun to target with hard bodied lures. The weather for the week ahead looks promising with only a few possible showers & light winds less than 10 knots every day except for Friday afternoon when the wind is expected to increase to 12-13 knots. Early morning low tides should provide a few options for targeting Flathead around the drop offs. Towards the end of the week as the high tides will be around 4-5am this should be a good time to hit the shallow reefs on day break for your chance at a few Squire with Pillies & Squid working well as bait & also responding to soft plastics. They do put up a great fight on light gear so why not leave the heavy rods at home & try using your Bream or Flathead gear! We are also happy to announce both the arrival of our latest vessel the 3.70m Saxon Poly boat powered by a 6hp Yamaha four stroke outboard as well as our new range of bait & tackle to help better serve our hire customers. Another report should follow in a few days so until next time stay safe on the water. Fishing Report Tin Can Bay 14/03/2013. 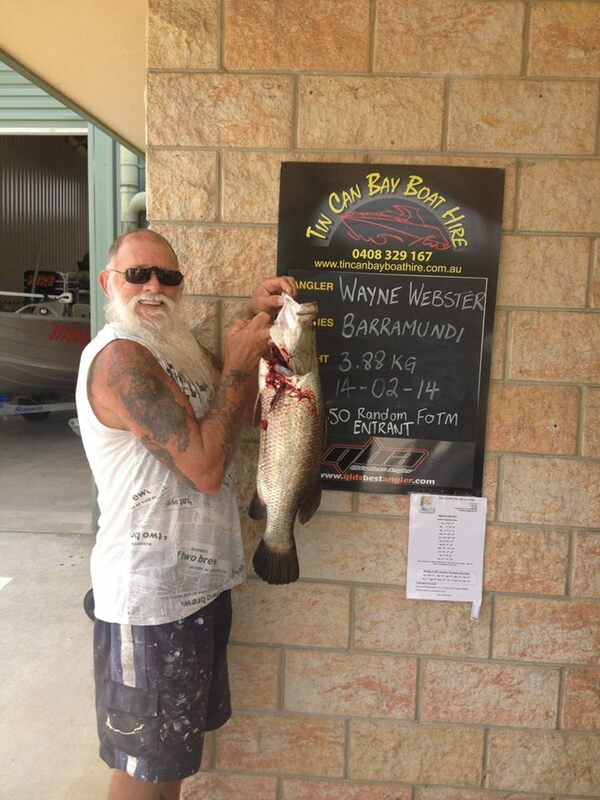 Fishing Report Tin Can Bay 07/03/2013. Another week of rain begs the question to be asked…When will it end? For the time being we all have wait patiently to see if the low in the north will develop further into a cyclone & the direction it chooses to travel before making plans for the upcoming Easter holidays. Provided we have seen the end of the majority of the rain the next couple of weeks should see the conditions in the bay improve considerably. The upside since the weather has been so crappy of late restricting the vast majority from getting out & wetting a line is hopefully the over the next few weeks the fishing will be outstanding for those visiting the area. Cooler days should have seen a drop in water temperature so hopefully we should start to see the Snapper size & numbers increase. Norman Point will be a good option for those wanting to get out & chase a few Squid. Drifting along the drop offs should produce some good results. Carlo Creek is yet again the stand out destination for both land & boat based anglers with Bream, Mangrove Jack, Cod & Barramundi being on the cards. Looking ahead to the weekend the current forecast is for SE winds from 10-15knots. With high tides falling just after sunrise & sun set it is well worth heading up some of the local creeks like Teebar, Snapper or Carlo in search of a couple of Jack. The open waters of the bay will be a tad uncomfortable for smaller vessels so best to keep in the sheltered waters of the creeks or places like Bullock Point & Pelican Bay. Don’t forget tomorrow marks the start of Fishing QLD’s “Fishing for Flood Relief Appeal”. Contact the guys at Fishing QLD for details on how to sign up at only $20 to enter it’s well worth it to support those effected by recent floods. Good luck & see you on the water. Fishing Report Tin Can Bay 01/03/2013. Another week of horrible weather & the weekend ahead doesn’t look to be getting any better! Hopefully the end is in sight soon & we get some great weather for Easter Holidays in a month’s time. As to be expected the fishing has been a little slow of late however there has still been catches of some nice Mangrove Jacks in the 40cm range along with Cod and the odd Barra. Carlo Creek has yet again been the stand out this past week with some nice Grunter Bream or Javelin fish being caught as well as a few nice Bream. We received another report today of a 60cm Barra being caught in a cast net whilst gathering live baits so don’t discount these areas as a place to wet a line & not just to gather bait before shooting up the creeks further away. Fishing Report Tin Can Bay 20/02/2013. Just as the bay had started to clear up again when have been hit with another deluge of rain to stir it all up again! Fishing reports have been very slow this past week so and since I have been laid up follow a minor knee operation there is not a great deal to report on that front. For those wanting to get out on the water the weekend and the start of next week look to be your best chance to get out with the wind dropping away to less than 10 knots. Despite the forecast for possible thunder storms Sunday would be the pick of the days over the weekend with the wind not expected to exceed 5 knots. As with the past few weeks, try fishing areas closer to Inskip Point where the waters have begun to clear up a little. Bullock Point, Pelican Bay or Kauri Creek would be good options & do proved a bit of shelter from the wind if it was to kick up. Carlo creek was firing well for Barra, Mangrove Jack and Bream prior to the rain and hopefully should remain the same. The Mud Crabs should be about in good numbers so remember to take your pots with you while fishing and try setting them at the mouth of the creeks. Handy little tip if you don’t have time to chase around to get bait for your crab pots try a can of cheap Tuna or cat food just pierce a few holes in the can to allow the juices to flow. You would be surprised with the damage a crab can do to a tin can. Fishing Report Tin Can Bay 13/02/2013. The past week has seen the bay start to clear up a little towards Fraser Island however there is still large quantities of fresh at the southern end around Tin Can Bay. The fishing has started picking up a little with several reports of Barramundi over the meter mark. The Jacks are firing up big time with reports of people bagging out on some quality fish with most fish falling victim to bait’s of Herring and Mullet. The Snapper/Squire have started to show up on the shallow reefs around Tin Can Bay again following the rain however there isn’t really much size about them yet. There seems to be a small window just after sunrise that these fish really come on the bite then completely shut down. A few nice Bream have been taken around Carlo Point of late with large schools being sighted off the boat ramp. The Mud crabs should also be about in good numbers at the moment so if you do hit the water be sure to soak a couple of pots at the same time. The forecast for the weekend is looking a little average at this stage with SE blowing up to 10 knots. Best advice if fishing the open bay is to get out early and be off the water by a bout 8am as the wind increases otherwise head up the Creeks like Teebar, Snapper or Carlo to seek shelter from the wind. Fishing Report Tin Can Bay 07/02/2013. The bay is still inundated with fresh at present however this doesn’t appear to have dampened people’s efforts to get out and catch their Barra for the season with several nice fish being caught. The upper reaches of Carlo Creek appear to be producing the best results. Area’s like the old Jetty ruins at Poverty Point will be worth a go once the bay cleans up a little more. The fresh doesn’t seem to have slowed the Bream down either with fish about in good numbers. Carlo Point at night would be worth a try as would the pontoons and jetties in Snapper Creek. If you’re after some cleaner water to fish then areas north of Inskip Point would be the best bet as these areas tend to clean up a lot quicker than the Southern end of the Bay. Try working the dirty water lines for Barramundi, Threadfin Salmon, Mackerel and Queenfish. The shallow reefs around Tin Can Bay had been producing small Squire/Snapper and Sweetlip before the rain and hopefully as the fresh clears they should start to reappear. Try fishing times like dusk and dawn for best results with some of the more productive sessions of late coming from first light. Prawns should be in good numbers about the bay so it could be worth grabbing the cast net or Prawn net & heading out at dusk for an hour or so but pack the mozzie spray as they are pretty savage at the moment following the recent deluge. With the weather the region experienced over the past week reports of fish are few & far between. Before the rain Squire/Snapper were being caught on the shallow reefs around Tin Can Bay with reports of some fish around the 50cm mark. A few nice squid were also being caught around Norman Point. There is huge amounts of fresh water in the bay at present which has almost shut down the fishing completely. Plenty of stingrays about that are quiet happy to take your baits & provide a little bit of fun in the process. Some legal Bream have been coming from Teebar Creek. All this rain should hopefully flush out a few prawns from up the creeks so it could be worth throwing the cast net around dusk for a feed of prawns or to gather some fresh bait for chasing some Threadfin Salmon or Barramundi. Upside is the closed season for Barra ends tomorrow (1st Feb) from midday so it’s time to dust off the Barra lures & start hitting your favourite spots. A couple of locals have reported catches Barra in Carlo Creek. Hopefully over the next week we should see the water start clearing up a bit & a few more fish being caught. Until then be safe on the water. Fishing Report Tin Can Bay 23/01/2013. With rain and possible thunderstorms forecast for most of the long weekend the outlook appears a little gloomy however with winds tipped to be 5-10 knots it should still make for reasonable conditions to hit the open waters of the bay or even the creeks. A bit of rain should hopefully bring with it a bit of relief from the hot weather we have been having of late. The past week the bay has been fishing fairly well with reports of Snapper, Sweetlip, Moses Perch and Cod coming from the shallow reefs around Tin Can Bay and on Teebar Ledge. A few nice Squid have also been caught around Norman Point. Reports of Mackerel have been a little patchy however large schools of Gar have been sighted around Big Mick and make great bait for Mackerel. A few Queenfish have been taken in this same area and where they may not be the best eating they do make for a great sports fish on light gear. Still a few reports of mud crabs coming from the creeks as well as a few Jacks with those taking the time to gather live baits being well rewarded for efforts. Fishing Report Tin Can Bay 17/01/2013. The weather forecast for the week ahead looks fantastic with it being hard pressed to pick which day is better than the other. The only possible standout day being Friday the 18th. Light winds in the mornings before increasing to less than 10 knots in the afternoon. Light winds early morning should offer almost glassed out conditions & should make it ideal to fish the open waters of the bay. Early morning low tides will make life difficult for those wanting to head up the creeks however areas like Bird Rock in Teebar Creek should be worth a shot around the bottom of the tide for a few School Jew. While waiting for the tide to drop working the drop offs around where the water is running off the sand banks is also worth a try for Flathead. Fishing Report Tin Can Bay 09/01/2013. The weather has been a little average over the last week with those who did head out having to take cover in the creeks to get away from the wind. One customer recently reported a mixed bag of Yellow Tail Pike, Bream, Moses Perch & Flathead coming from Teebar Creek. Looking ahead at the forecast for the weekend expect some pretty big tides about 3.5m around mid morning. This is the perfect time to get out & explore the upper reaches of creeks like Snapper, Dinnies & Teebar. If your fishing the open waters of Tin Can Bay then it will be best to get out early around first light & fish the rising tide until about 9 – 10am before the wind picks up. Take advantage of these light winds & head to places like Big Mick, Bluff Reef & the Channel between Inskip & Fraser to try your luck floating unweighted Pillies for a couple of Mackerel. With temps between 35 & 37°c forecast for Thursday & Friday conditions should be ideal for chasing Jacks in the creeks. Tight lines & be safe on the water. Fishing Report Tin Can Bay 03/01/2013. Wow 2013 already!!!! The waters around Tin Can Bay & the Sandy Straits have been extremely busy during the Christmas period with most days the car parks at the boat ramp being full to capacity & boat trailers parked everywhere! Despite the extra traffic on the water fishing has been steady with reports of Bream, Moses Perch & Flathead in Snapper Creek. Mangrove Jack are still coming from the creeks like Teebar, Dinnies & Kauri with the added bonus of the odd Threadfin Salmon. Mud crabs have been in good numbers for those who have taken their time to set a few pots but as usual around holiday time they are still getting raided. The weather for the next week or so looks to be a little average with SE winds to 10 knots chopping up the bay. For those wanting to get out for a fish try heading up creeks like Snapper, Teebar or Kauri or otherwise get out early morning before the wind gets up & try places like Big Mick or Bluff Reef. There has been a few decent fish about on one recent trip to Big Mick I got cleaned up after about a 5 min fight I was bitten off using 80 pound leader. Please share photo’s of your holiday catches on our facebook page www.facebook.com/TinCanBayBoatHire or email them to info@tincanbayboathire.com.au they could even end up in our area article in Bush n Beach! Fishing Report Tin Can Bay 20/12/2012. Wow how hot has it been over the last week? With temperatures in the mid to high 30’s! Upside of these hot days is the water temperatures have increased and made for ideal conditions for Jack fishing. Looking at the forecast for the next week early mornings will be the best time to fish the open waters of the bay before the winds pick up to around 5 – 10 knots. Recommend trying for Mackerel around Inskip Point and Fraser Island. Teebar Ledge is also worth a try however it’s best to time it for when the run in the tide has slowed or just about to turn. Fresh flesh baits, squid or even lives should produce results. Big Cod inhabit this area so be prepared to lose a bit of tackle and make sure your gear is up to the task. Sweetlip, Parrot and Cobia are also found around the ledge. If you’re after a feed of whiting or flathead try fishing the edges of the flats on the run out tide. Live worms or freshly pumped Yabbies will give the best results although small surface poppers or soft plastics are worth a try. With Christmas holidays now in full swing there will be plenty of traffic on the water and with it should be increase in patrols from the Boating and Fisheries Officers. It’s a good idea to drop past one of the local bait and tackle shops and grab a copy of the green zone maps as well as refreshing yourself with any changes to the size and bag limits as it could save you a hefty fine. If your crabbing then keep a good eye on your pots as there are some people who think they deserve your catch more than you do. At this time of year please be mindful at the boat ramps and try not to get too frustrated if someone is taking a little longer than you would like and watch out for small children. We also ask for all those people without boats and trailers please be considerate of the people who do keep the boat trailer parks for those people with trailers. From the crew @ Tin Can Bay Boat Hire please be safe on the water and have a great Christmas. Tight lines! Find us on facebook @ www.facebook.com/TinCanBayBoatHire we would love to see pictures of your holiday catch. Fishing Report Tin Can Bay 13/12/2012. The weather has been a little average over the last week hopefully things improve over the next week or so in the lead up to Christmas. Sunday morning seems to be the pick of the days over the weekend with light winds from the north to 5 knots. Friday night is also looking pretty good for those wanting to sneak out after work, I would recommend trying Teebar Ledge for a few reefies or cod or sneak up the creeks for a few jack. On the fishing side Mangrove Jack are still about in some good numbers. Whiting & Flathead are about try fishing the drop offs along the western side of Tin Can Bay on the run out tide. Any where you can find a channel draining off the flats into deep water should give good results. Mackerel are still about & hopefully numbers should improve over the next few weeks as the Spotties move in. It is a good time to get the pots out for a soak especially for those wanting a feed of Mud crabs for Christmas day. Just remember to keep an eye on your pots as there are a few people who think they deserve to help themselves to your catch & even your pots. If you’re not familiar with the area it is also a good idea to grab yourself a map of the green zones so you don’t accidently end up somewhere you shouldn’t be. Until next week be safe on the water. Fishing Report Tin Can Bay 06/12/2012. Plenty of boaties have taken advantage of the great weather we have had lately to get out on the water. Good numbers of small School Mackerel are coming from around Big Mick with a couple of big ones amongst them. Sweetlip and Moses Perch have been coming off both Teebar and Seary’s Ledges. Recent king tides saw those after a few crabs hitting the upper reaches of the creeks and being well rewarded for their efforts. Still plenty of schools of bait fish have been moving about in the bay. Looking at the forecast for the weekend the winds are tipped to be low in the mornings before kicking up around midday. With Christmas holidays looming it’s a good time to take advantage of the conditions and get out on the water before it gets busy. Until next week be safe on the water. Tin Can Bay fishing report 29/11/2012. Wow what a week of beautiful weather we have had. Hot sunny days & light winds have made for some ideal conditions for getting out on the water. The outlook for the weekend is look at much the same with light winds in the morning before picking up to just under 10 knots in the afternoon. A few reports from outside of Spanish Mackerel although getting them in past the sharks has proved difficult. With the water clarity in the bay some of the best I’ve seen in years makes a great time for sight casting for Goldens over the sand flats around Inskip Point & Pelican Bay. There are some nice bream being taken in Snapper Creek working plastics around the jetty pylons giving the best results. The lead up to Christmas is now upon us with less than 4 weeks to go & the weather is looking to be the best we have had in recent years. If you’re planning a trip up this way over Christmas & are after a boat to hire be sure to book in early. As well as our 540 Bowrider we will also have our 425 Catcher ready to go with the 55 pound Minn Kota with iPilot and 30hp Yamaha 2 stroke motor a great little combo from getting up the creeks for a few Jacks, Barra & Muddies. We are also happy to announce that we will also have a range of Hobie Kayaks available for hire. Check out our website of Facebook page to more details closer to Christmas. Until next week be safe on the water & tight lines. Tin Can Bay fishing report 22/11/2012. The outlook for the weekend is looking pretty good and for those fortunate enough to have Friday off then it will be even better! Early morning high tides coinciding with light winds make for ideal conditions to get out in smaller vessels in search of a few Mackerel. With a few smaller Mackerel being caught of late it is only a matter of time before the bigger ones turn up. A few nice Queenfish have also been caught in the area over the past few weeks with a couple over the meter mark. For those after a feed of whiting the sand flats around Pelican Bay & Ida Island would be my pick for the week. Pumping a few fresh yabbies then fishing the rising tide should see a good result. For those wanting a little more of a thrill why not try using surface poppers! Whiting are a great fight at the best of times but seeing the fish smash your lure off the surface would make it all that much more exhilarating. Still a few Jacks about and recent rains should have helped flush a few out from up the creeks. It’s also worth soaking a few pots for both Mud and Sand crabs whichever takes your fancy. Until next week tight lines & be safe of the water! Tin Can Bay fishing report 15/11/2012. Tin Can Bay fishing report 08/11/2012. With showers forecast for the weekend, Saturday still looks to be the pick of the days to hit the water with wind set to be less than five knots for most of the day. We are getting reports of mackerel and a few squid around Teebar Ledge. Closer to Tin Can Bay a 111cm queenfish weighing approximately 11kg was taken by one local angler last weekend, fishing the drop-offs around the eastern side of the bay. Large schools of herring have started moving into the bay and with them should hopefully come a few larger predators. Mangrove jack action has slowed a little with the cooler days over the last week however those putting in the time are still finding a few nice fish. The odd barramundi is also still lurking about however from the November 1 to the February 1 barra are off limits along the east coast of Queensland. If you do manage to hook up to one by accident please ensure it is released unharmed as soon as possible. Tin Can Bay fishing report 26/10/2012. School and small spanish mackerel in the channel between Inskip Point and Fraser Island. Reports of good size whiting are being caught off the beach at Inskip Point with live worms or yabbies producing the best results. If your planing on taking the boat out the wind is set to increase around lunchtime on Saturday so I recommend getting out early in the morning and taking advantage of the calm conditions. Still plenty of reports of mangrove jack in the creeks and the odd barra amongst them, it is also worth taking the pots out and giving them a soak as some good muddies have been taken of late but if you do keep a close eye on your pots as some people feel that they deserve your crabs more than you do. Closer to Tin Can try Snapper Creek for trevally, fishing the flats at high tide. Tin Can Bay fishing report 19/10/2012. There are a few stand out days forecast over the next week with Saturday and Monday being my pick. Saturday’s forecast for light NW in the morning before picking up in the afternoon it would be a good time to get up to Fraser Island and fish the channel near the barges for mackerel and tuna. Other places worth a look would be Teebar Ledge or Bluff Reef. Monday is the pick if you’re after jacks with the mercury set to tip 34 degrees the water temperature should be just about perfect. High tide is mid-afternoon so heading up the shallow creeks on the tide and fish the start of the run out tide until dark should produce some good fish. Tin Can Bay fishing report 04/10/2012. With school holidays now in full swing there are plenty of boats out on the water and with the conditions set to improve over the next few days it is a perfect time to get out and try your luck. Reports of mackerel in the bay with school, spotty and spanish smashing bait schools around Teebar Ledge. Flathead and monster bream are being taken on the sand flats at high tide. As the weather continues to warm up pick the hottest and muggiest day to get out and try for jack and barra in the creeks. Tin Can Bay fishing report 20/09/2012. There has been big bream landed in Snapper Creek over the past week and are responding well to trolled hard bodied lures. The sand crabs have been about with some people reporting good numbers being caught. More reports have been filtering through of barramundi lurking about in the creeks around Tin Can Bay. With the forecast for the weekend tipping high temperatures and low winds I recommend hitting the creeks in search of jacks and barra or for mackerel around Inskip Point. Tin Can Bay fishing report 12/09/2012. Both golden and diamond trevally are on the prowl in Snapper Creek and are responding to soft plastics with Berkley Gulp giving the best results. We had reports that some elbow slapper whiting have been taken on the flats using small hard bodied lures. Still getting the odd report of Mackerel around Inskip Point with the odd Spotty making an appearance. Over the next few weeks as the water temps slowly increase I suggest trying up the creeks and around structure for mangrove jack and barramundi. Tin Can Bay fishing report 05/09/2012. Reports that spanish mackerel are being caught in the channel between Inskip Point and Fraser Island with live baits of yellowtail pike working best. Mud crabs in the creeks and reports of whiting schooling in numbers around Norman Point and Big Mick. With water clarity improving in the bay I recommend fishing the flats for golden trevally or try heading up the creeks like Teebar and Kauri in search of mangrove jack and barra! Tin Can Bay fishing report 29/08/2012. There have been mixed reports of trevally, tailor and mackerel throughout the Tin Can Bay and the Sandy Straits. With the wind forecast to drop away for Father’s Day this Sunday I recommend trying around Big Mick or the channel between Inskip Point and Fraser Island for mackerel. A few big flathead are also still on the bite, fish areas like Teebar and Carlo creeks and try working the drop offs around the ledges. With water temps increasing try Snapper Creek for golden and diamond trevally.